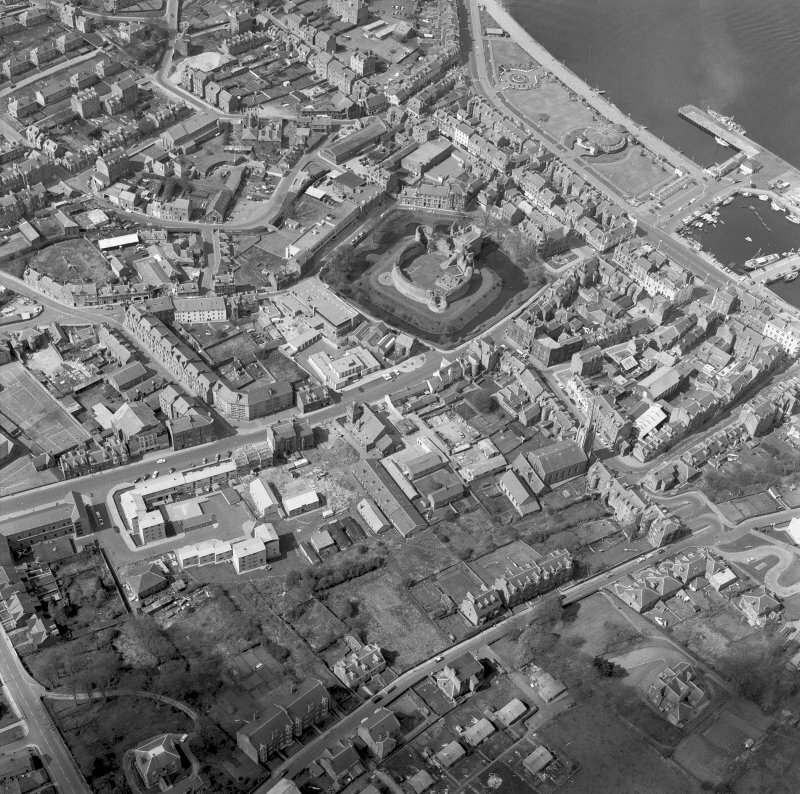 General oblique aerial view of Rothesay centred on the remains of the castle, the harbour and winter gardens, taken from the SSE. 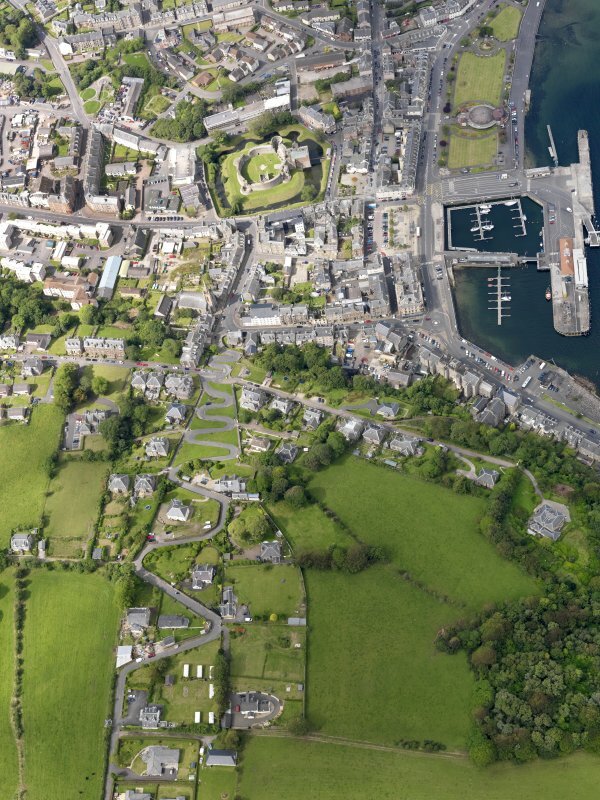 Oblique aerial view of Rothesay centred on the remains of the castle and chapel, taken from the E.
Oblique aerial view of Rothesay, taken from the SW, centred on the town. 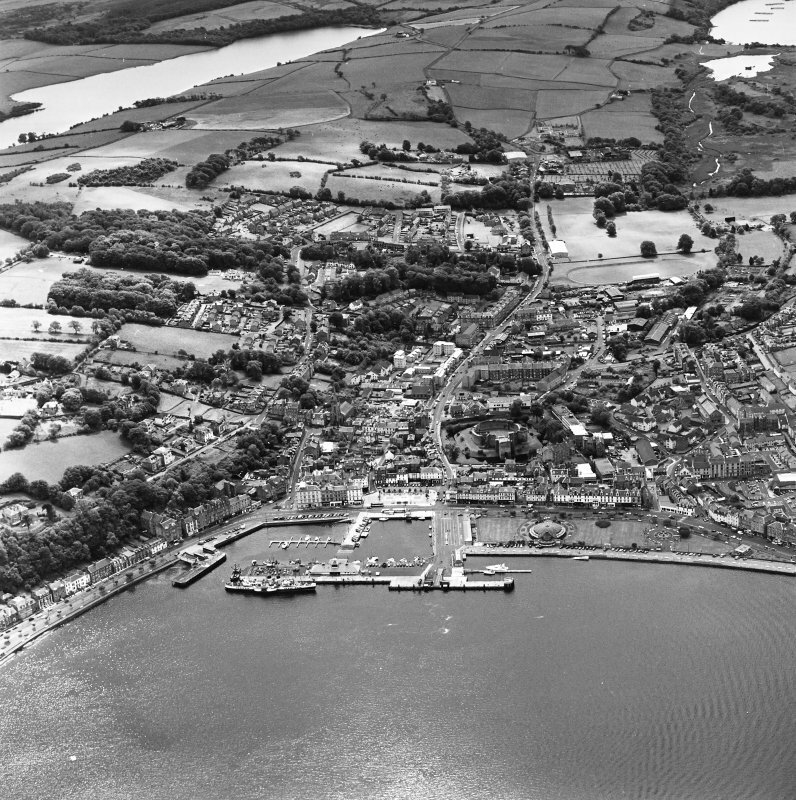 The harbour is visible in the top right side of the photograph. 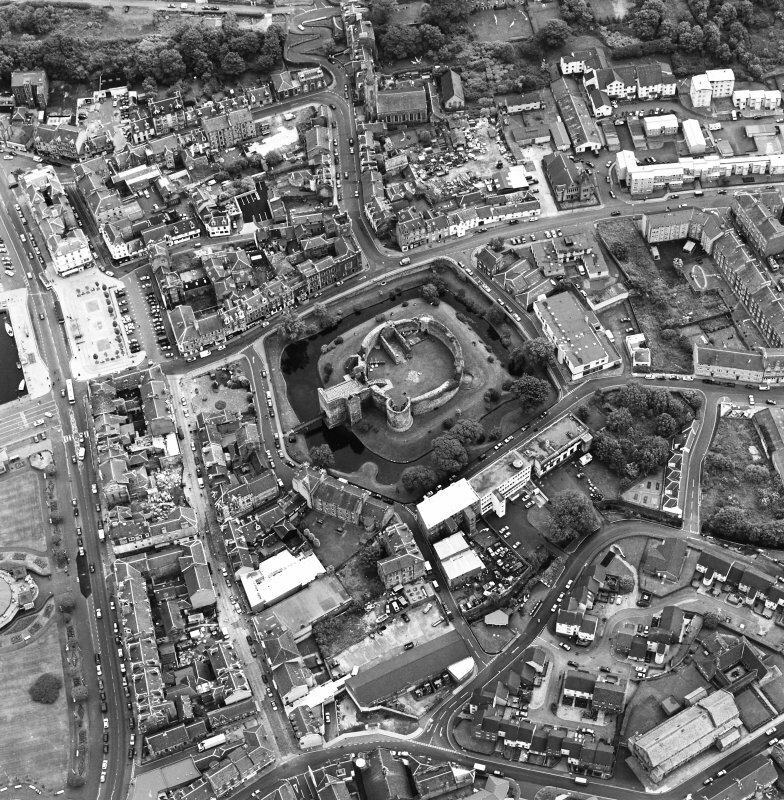 The castle and the Winter Gardens are visible in the centre of the photograph. 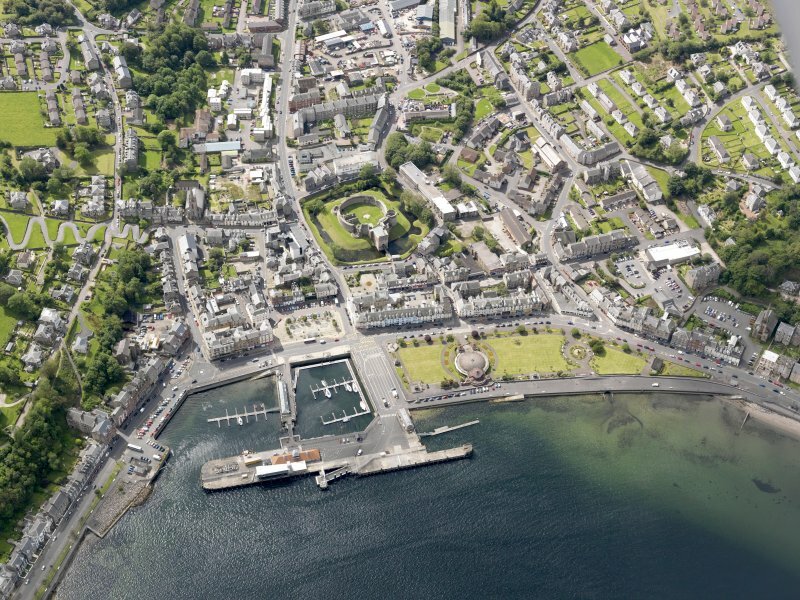 Oblique aerial view of Rothesay, taken from the NE, centred on a harbour. 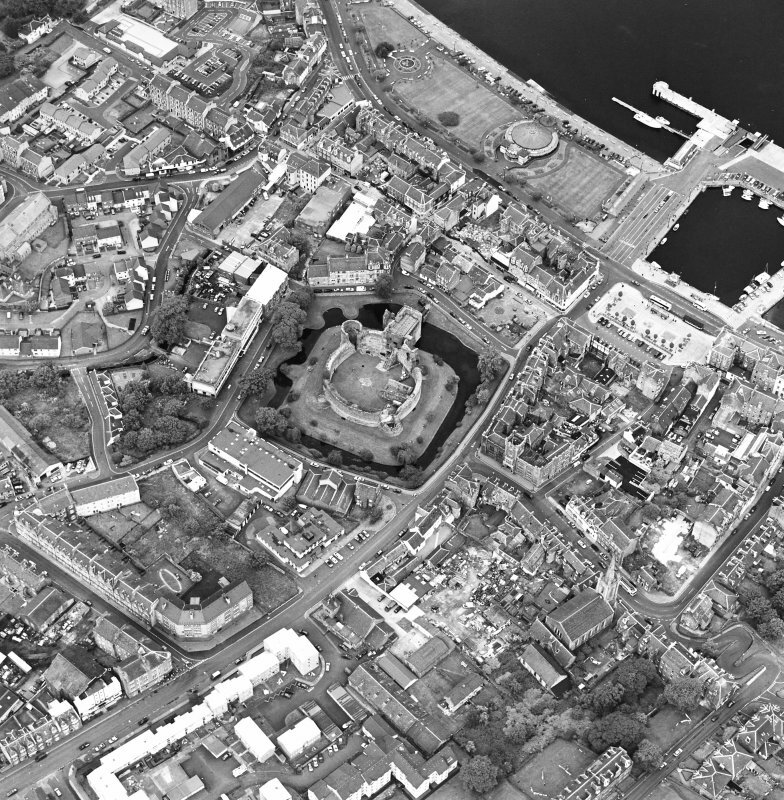 A castle and the Winter Gardens are visible, in the top centre and centre of the photograph, respectively. 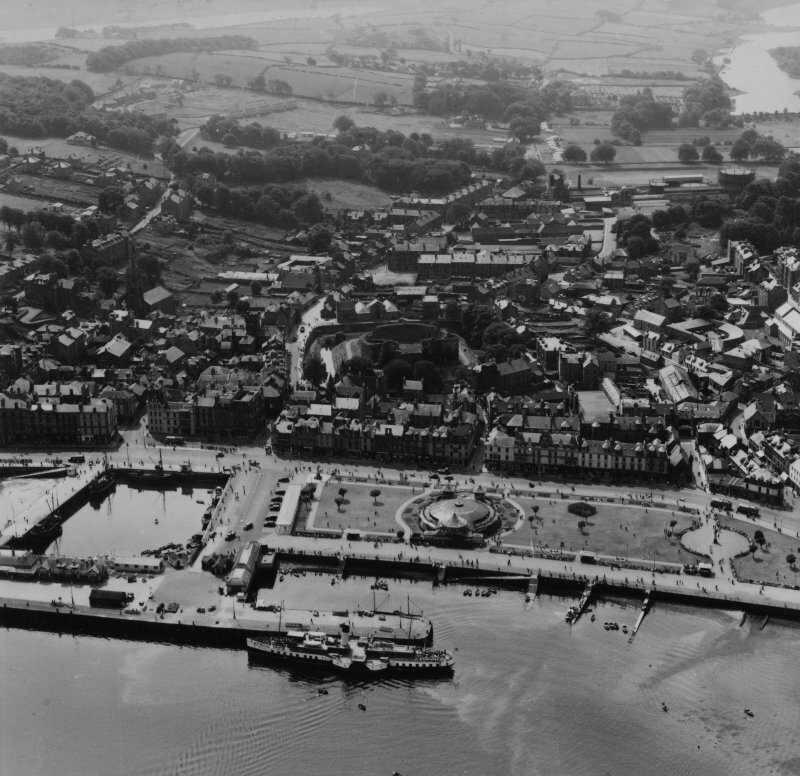 Rothesay, general view, showing Rothesay Castle and Winter Gardens, Isle of Bute. Oblique aerial photograph taken facing north. This image has been produced from a print. 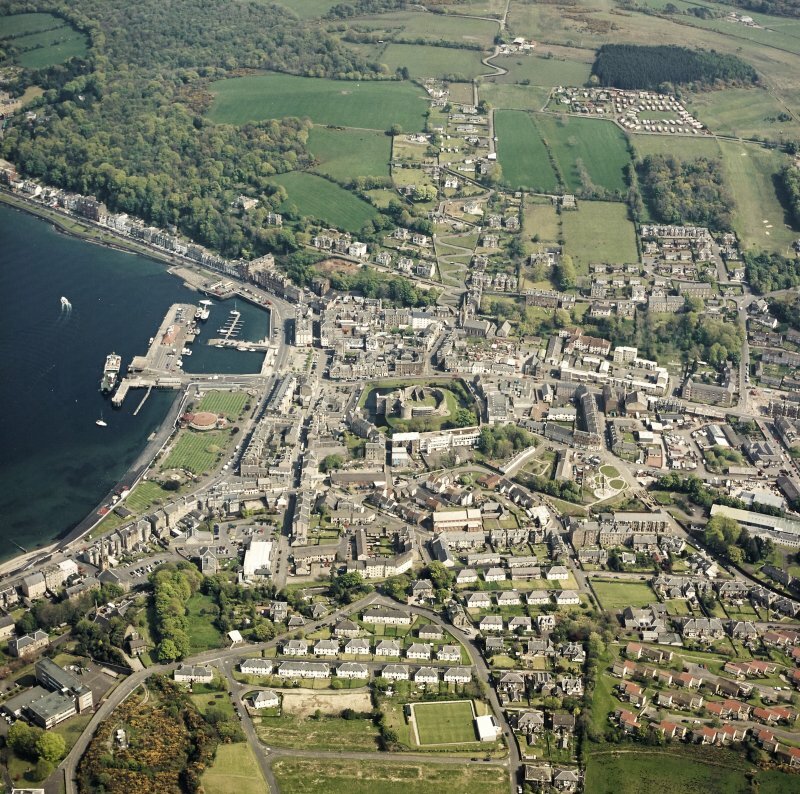 Rothesay, general view, showing Rothesay Castle and Serpentine Road, Isle of Bute. Oblique aerial photograph taken facing west. This image has been produced from a print. 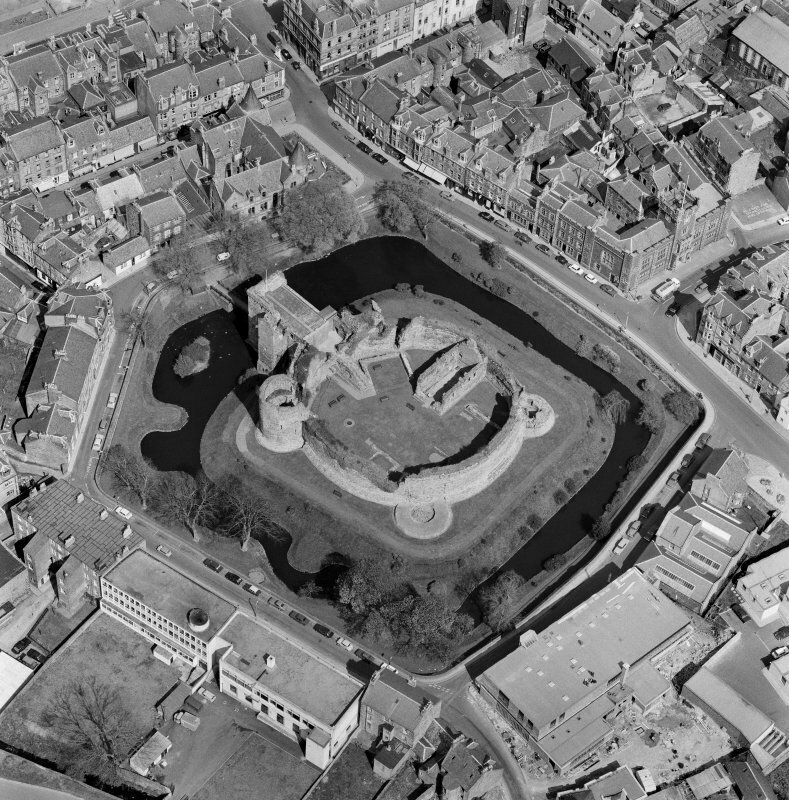 Oblique aerial view of Rothesay centred on the remains of the castle and chapel, taken from the SW. 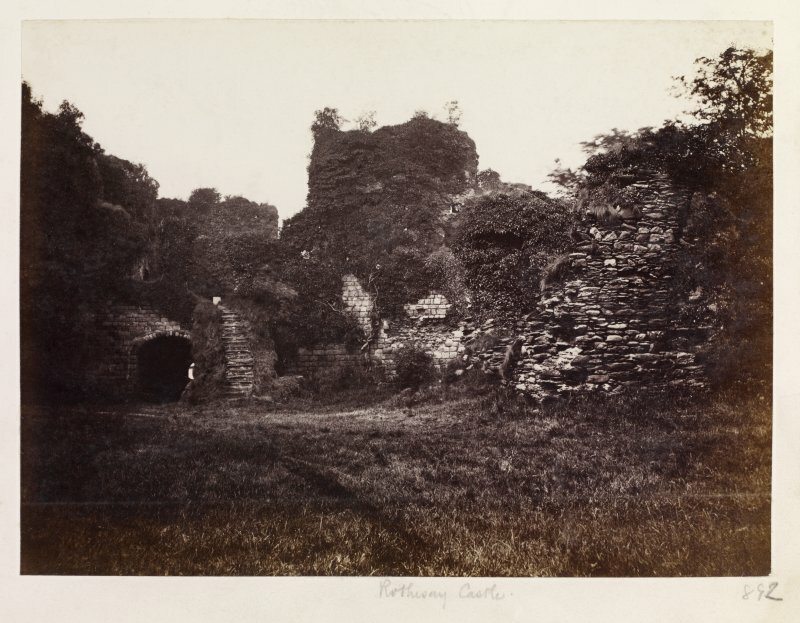 Page 30/6 View of Rothesay Castle interior (NE sector), taken from the SW. 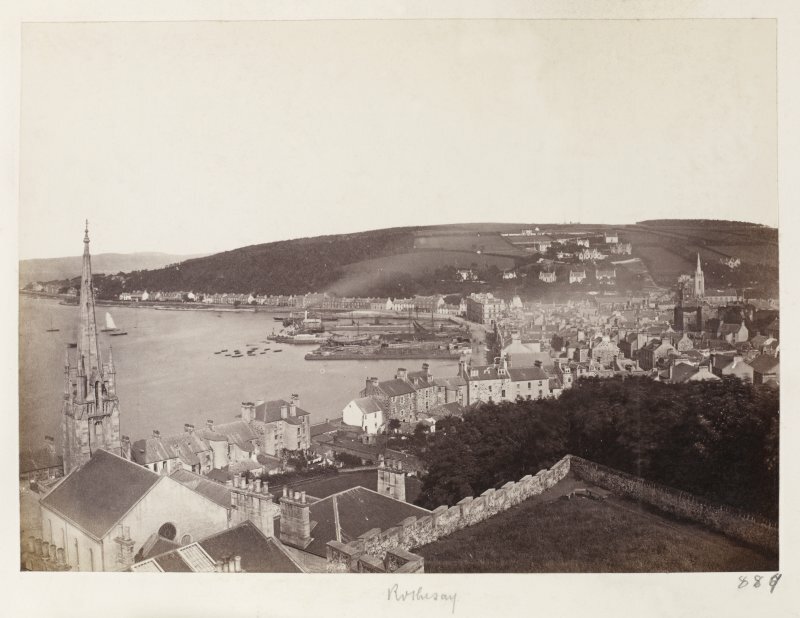 Titled 'Rothesay Castle' PHOTOGRAPH ALBUM No. 146: THE THOMAS ANNAN ALBUM. 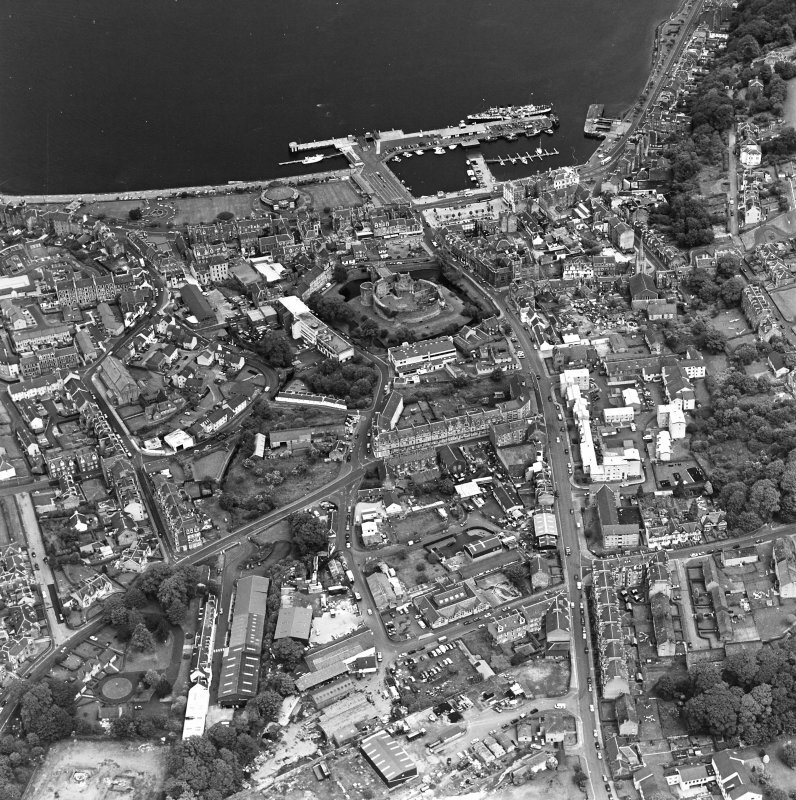 Oblique aerial view of Rothesay, taken from the N, centred on the town. A harbour is visible in the bottom half of the photograph. 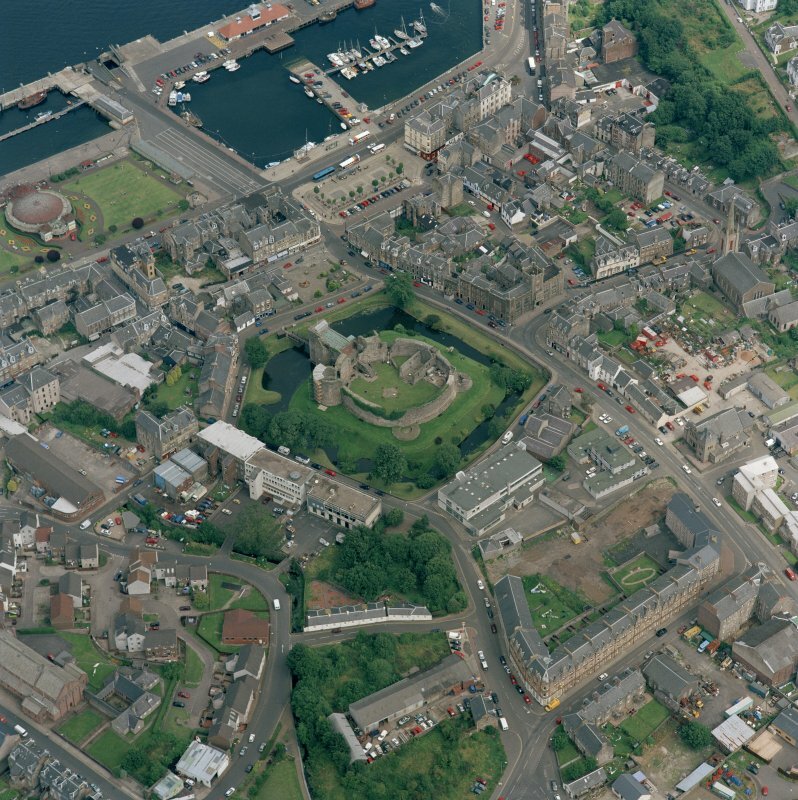 Rothesay castle and Winter Gardens are visible in the centre of the photograph. 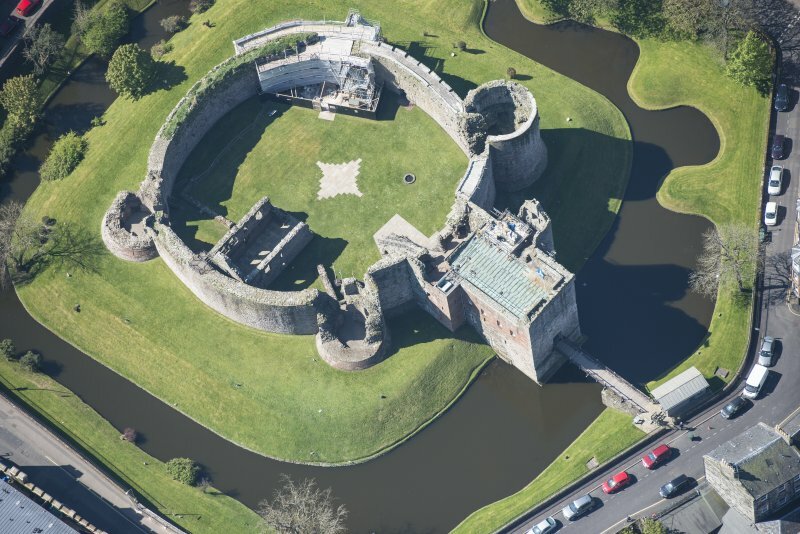 Oblique aerial view centred on the remains of Rothesay Castle, Bute. 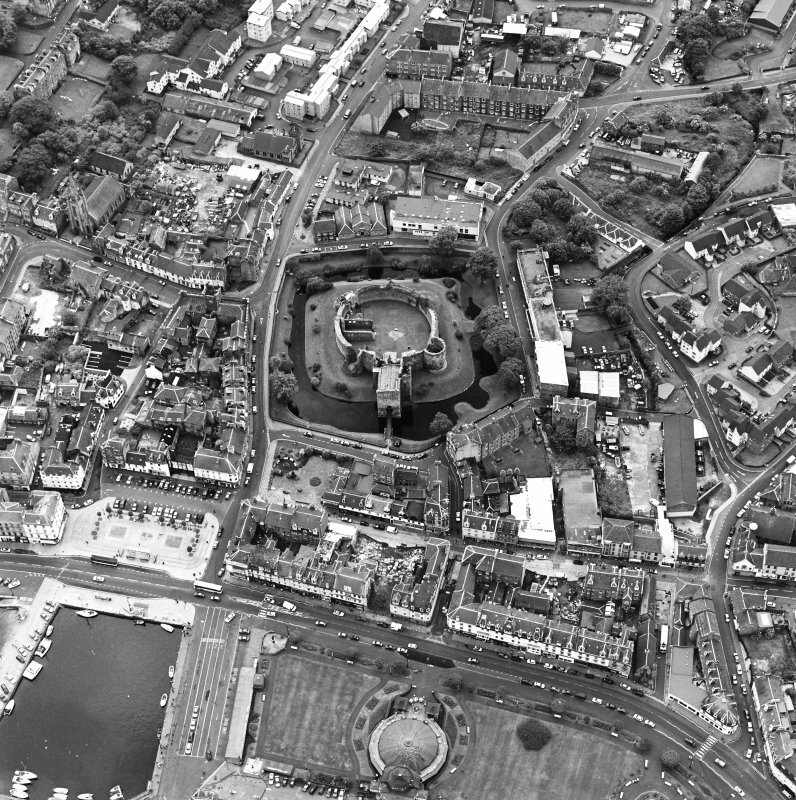 General oblique aerial view of Rothesay, centred on the castle, taken from the NNE. Oblique aerial view of Rothesay centred on the remains of the castle and chapel, taken from the S.
Page 30/2 General view from Chapel Hill [NS 0839 6482], Rothesay, from the NW. 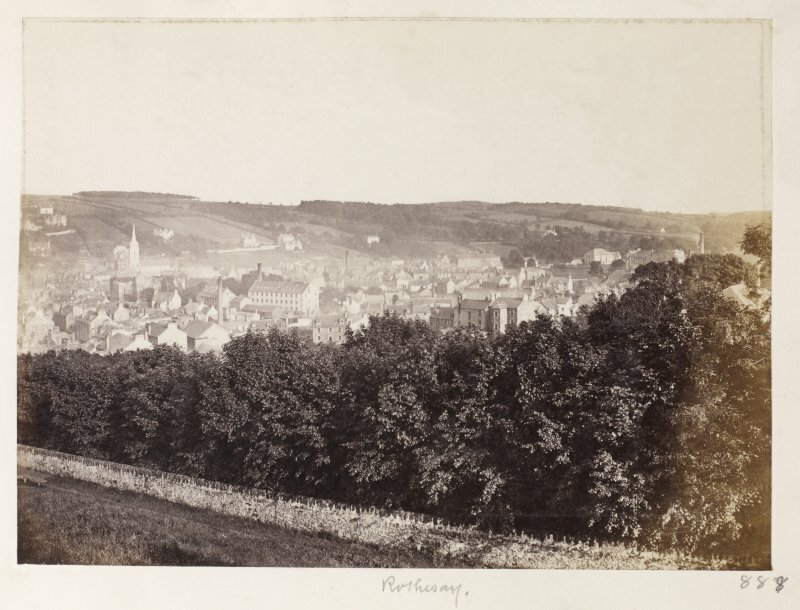 Titled 'Rothesay' PHOTOGRAPH ALBUM No. 146: THE THOMAS ANNAN ALBUM. 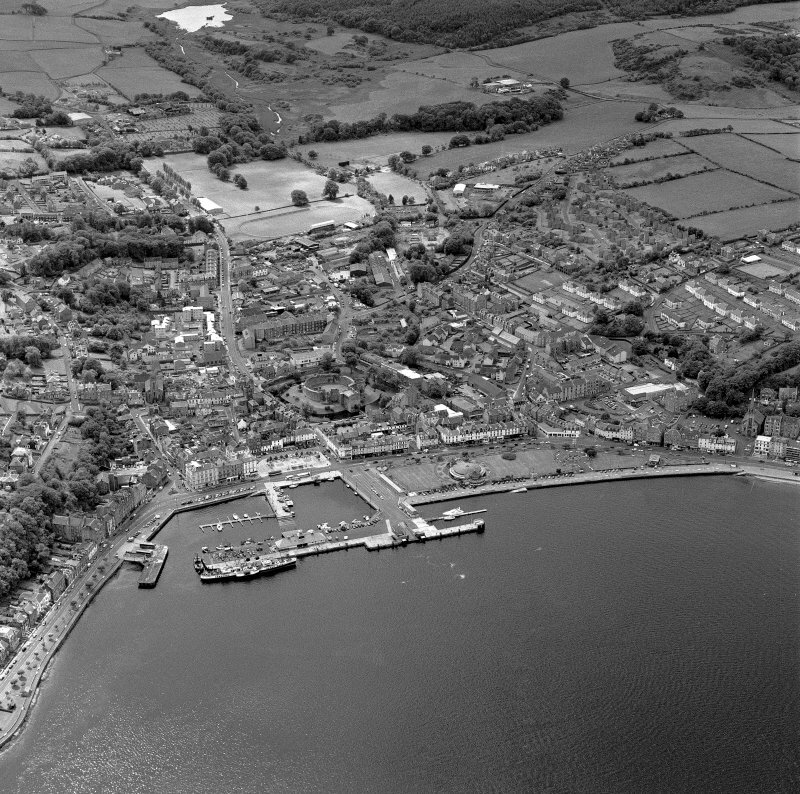 Oblique aerial view of Rothesay, taken from the N, centred on the town. A harbour is visible in the bottom half of the photograph. A caslte and Winter Gardens are visible in the centre of the photograph. 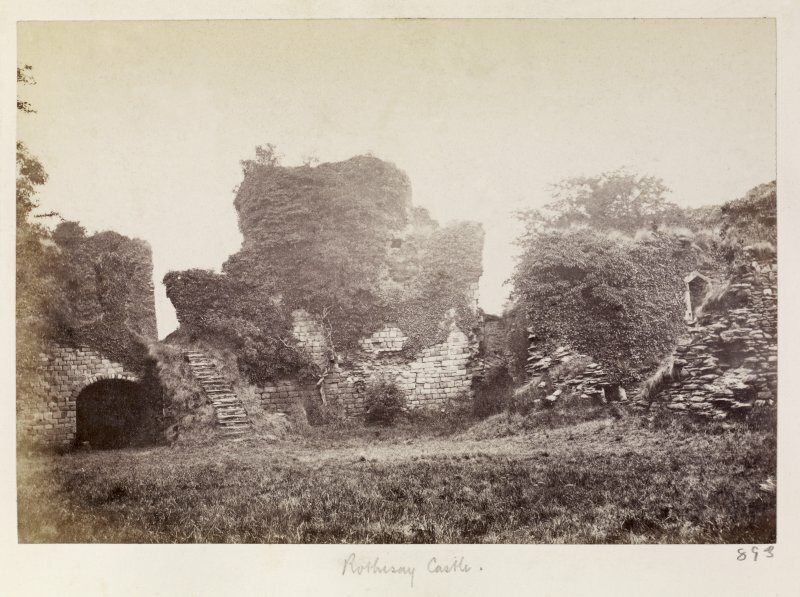 General view of ruins of Rothesay Castle. Rothesay, general view, showing Winter Gardens and Rothesay Castle, Isle of Bute. Oblique aerial photograph taken facing south. This image has been produced from a print. View from roof of Town House to South. 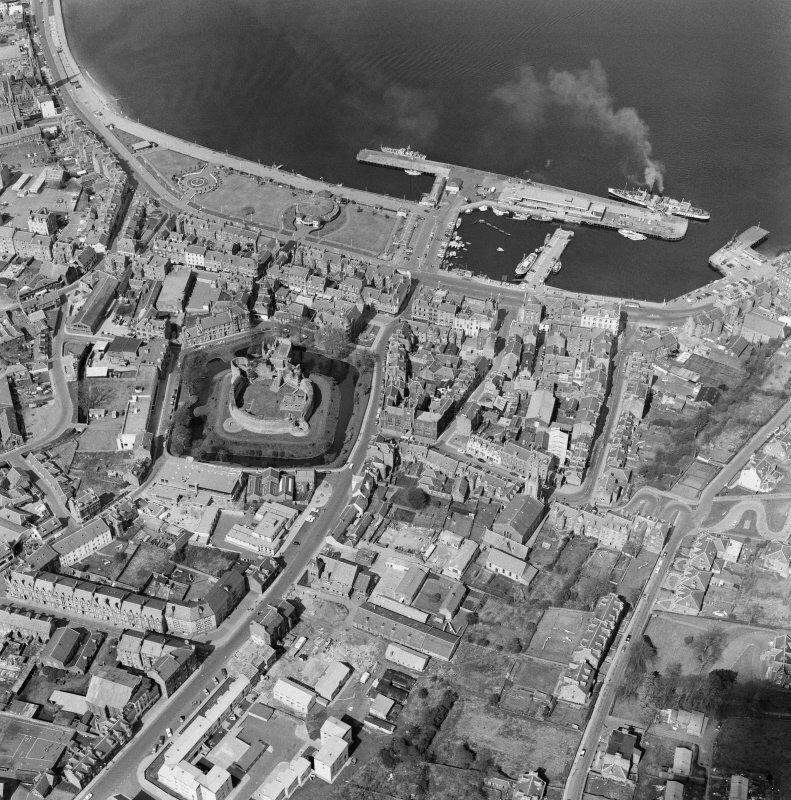 General oblique aerial view of Rothesay centred on the remains of the castle and chapel, with the winter gardens and pier adjacent taken from the WNW. 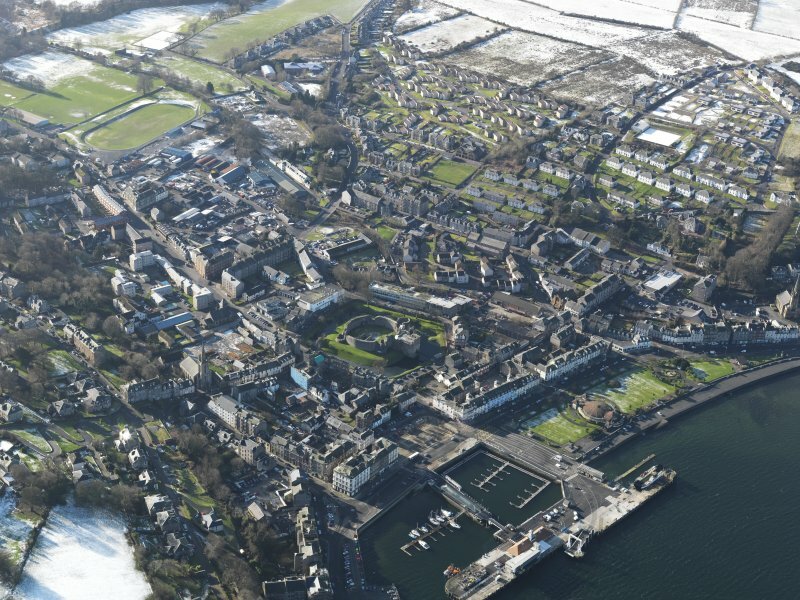 Oblique aerial view of Rothesay, taken from the NW, centred on a castle. The photograph gives a general view of the town. 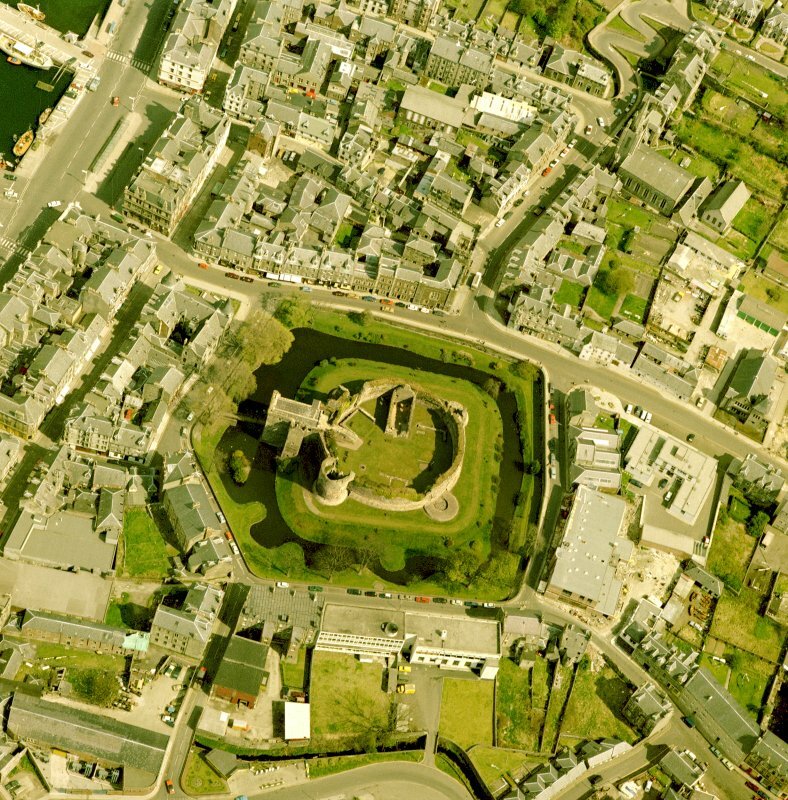 Oblique aerial view of Rothesay, taken from the N, centred on a castle. The Winter Gardens is visible in the bottom centre of the photograph. The photograph gives a general view of the town. 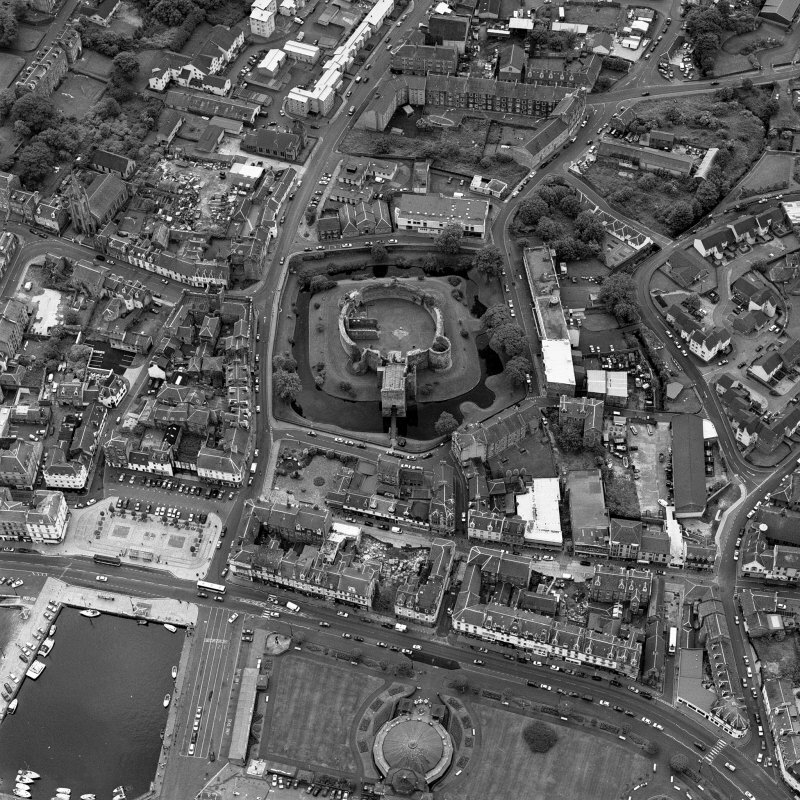 Oblique aerial view of Rothesay, taken from the E, centred on a castle. The Winter Gardens is visible in the centre left of the photograph. The photograph gives a general view of the town. 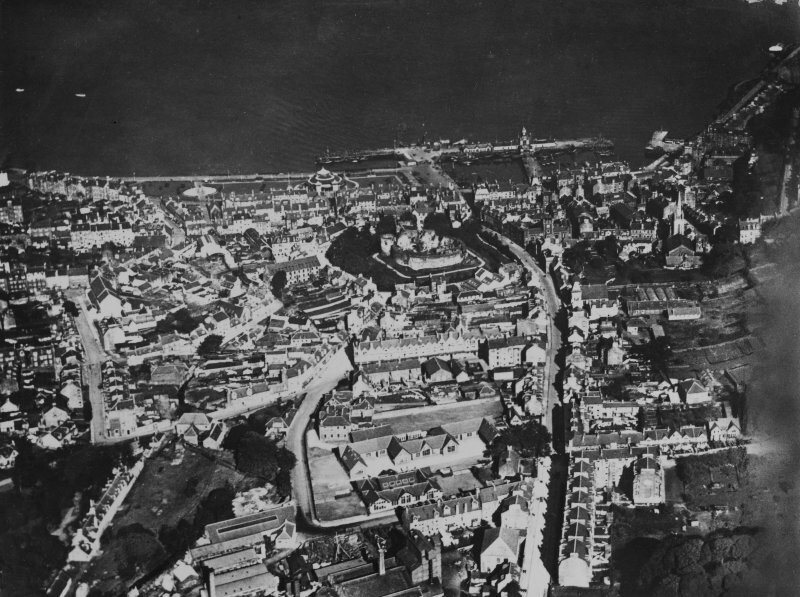 Oblique aerial view of Rothesay, taken from the S, centred on the town. A harbour is visible in top right-hand side of the photograph. A castle and the Winter Gardens are visible in the top centre of the photograph. 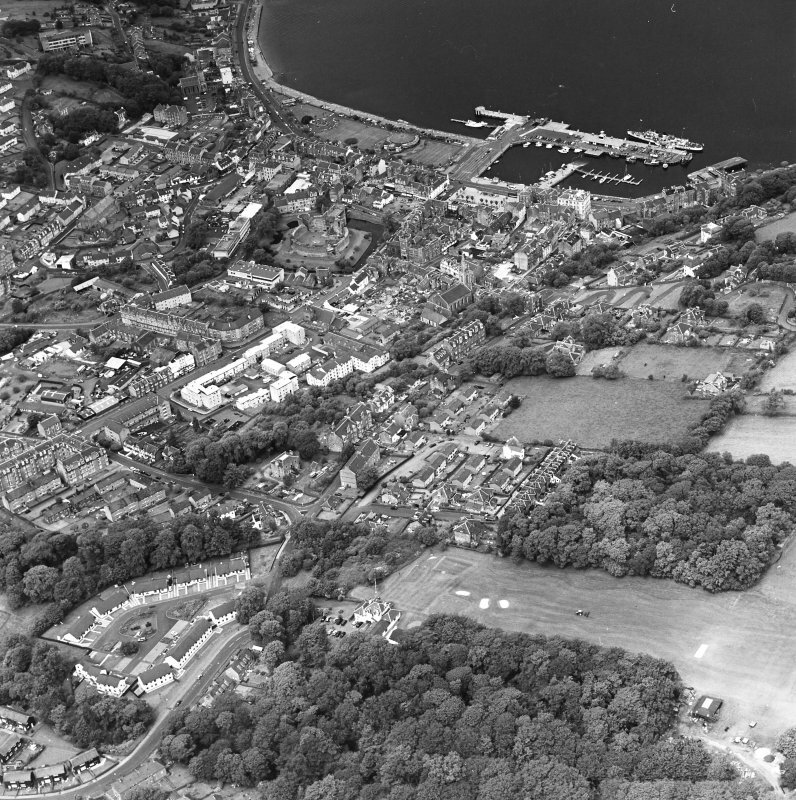 General oblique aerial view of Rothesay, taken from the ESE. 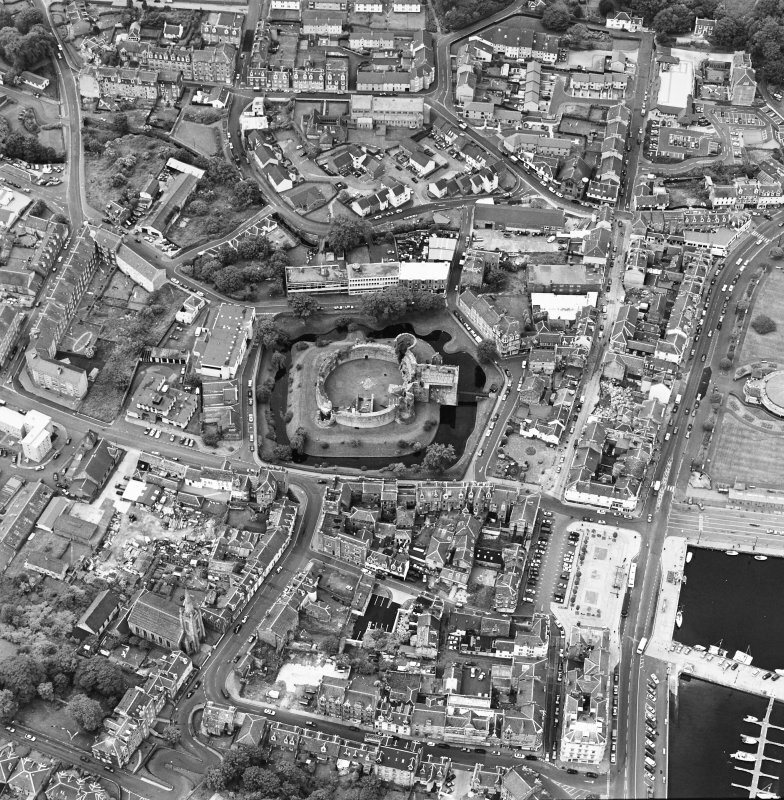 General oblique aerial view of Rothesay centred on the remains of the castle and chapel, with the winter gardens and pier adjacent taken from the W.
Oblique aerial view of Rothesay centred on the remains of the castle and chapel, taken from the NNE. 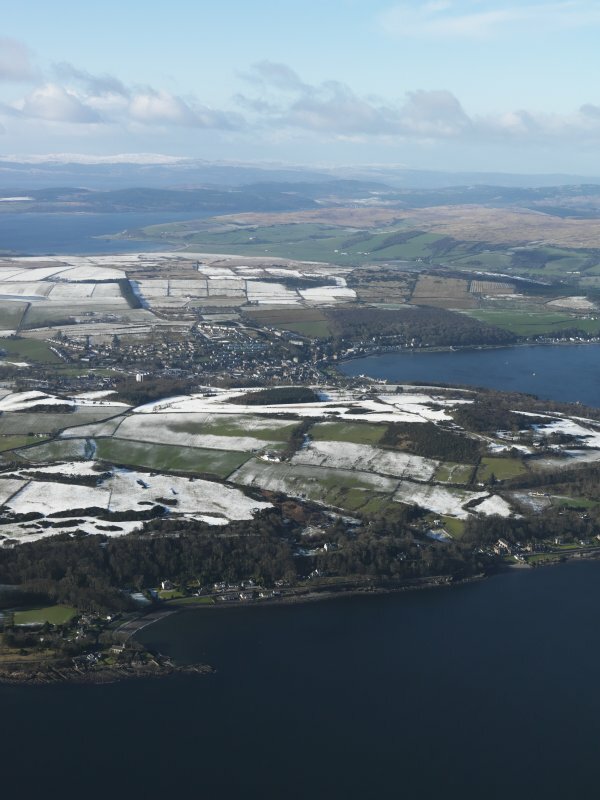 General oblique aerial view of Serpentine Road, Rothesay, taken from the ESE. 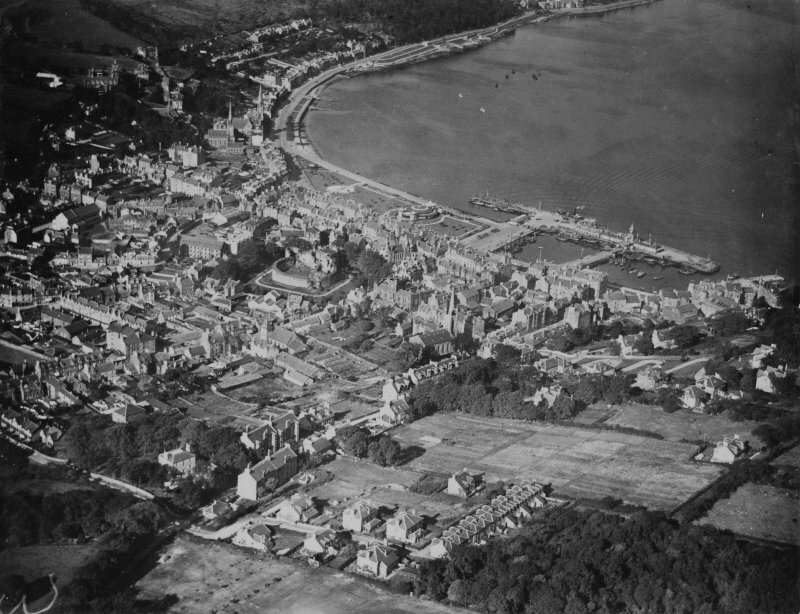 Rothesay, general view, showing Rothesay Castle and Union Street, Isle of Bute. Oblique aerial photograph taken facing north. This image has been produced from a print. 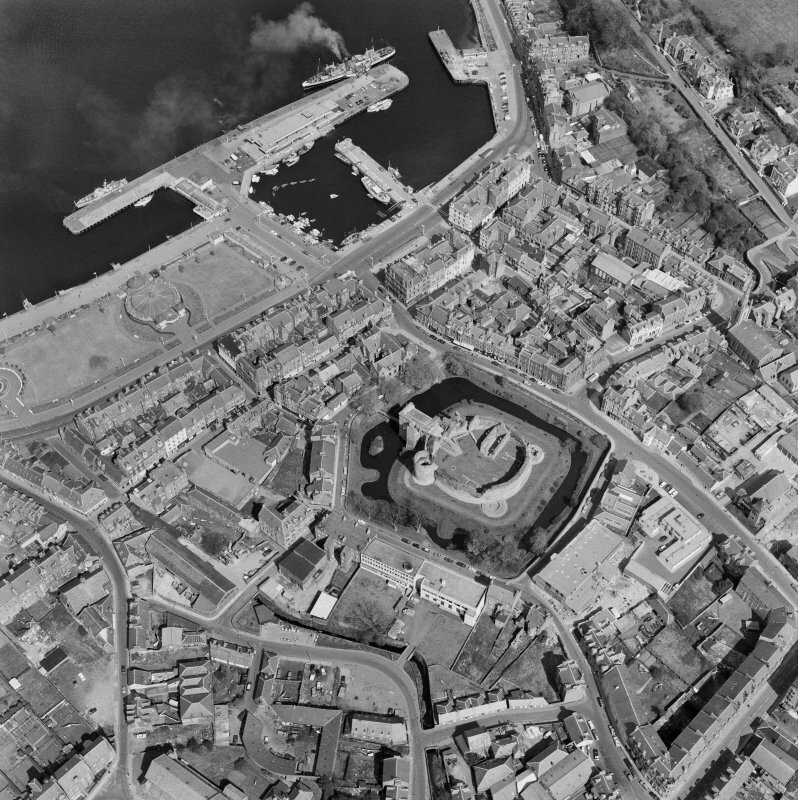 General oblique aerial view of Rothesay centred on the castle, taken from the NE. 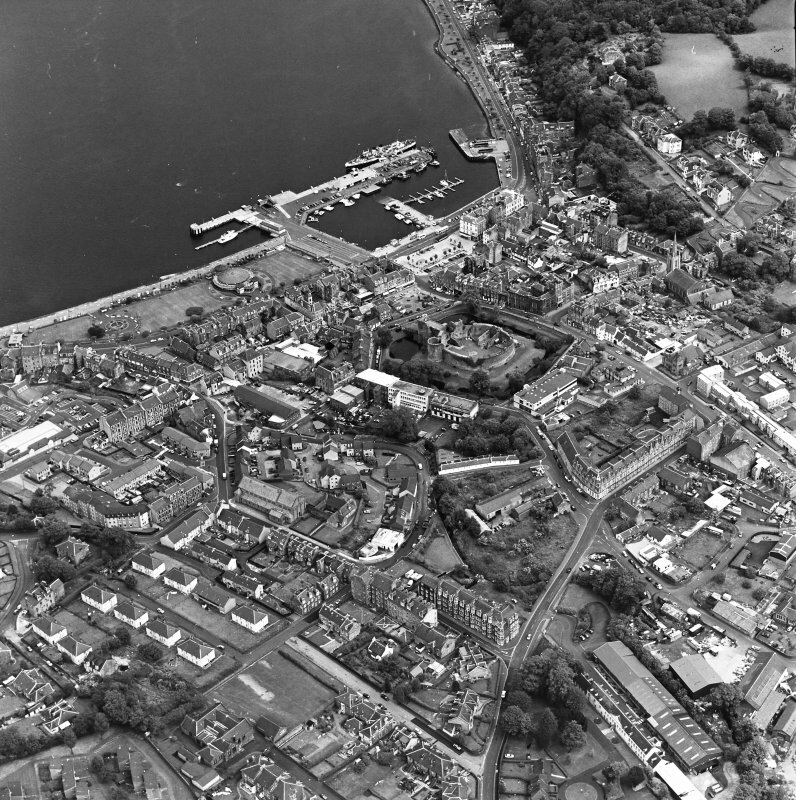 Oblique aerial view of Rothesay, taken from the SE, centred on a castle. The Winter Gardens is visible in the top centre of the photograph. The photograph gives a general view of the town. 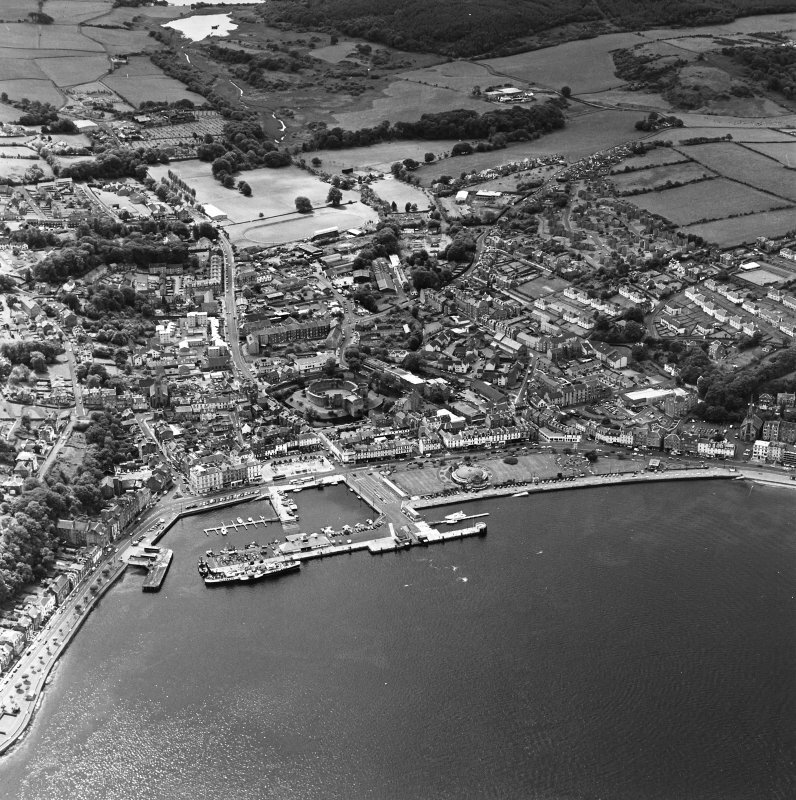 Oblique aerial view of Rothesay, taken from the N, centred on the town. A harbour is visible in the bottom half of the photograph. A castle and the Winter Gardens are visible, in the centre of the photograph. 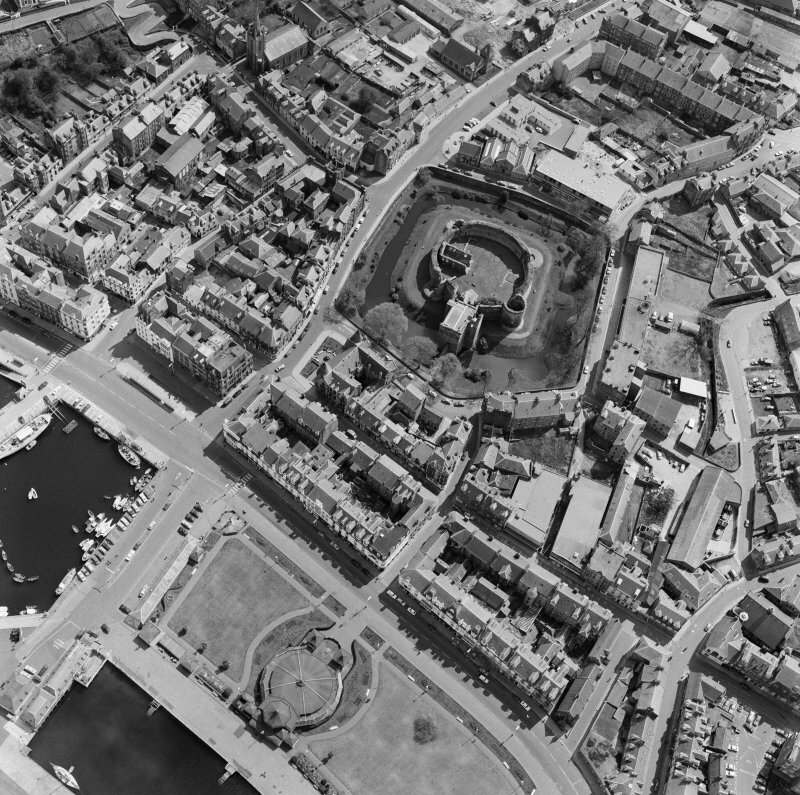 General oblique aerial view of Rothesay centred on the remains of the castle, the harbour and winter gardens, taken from the WSW. 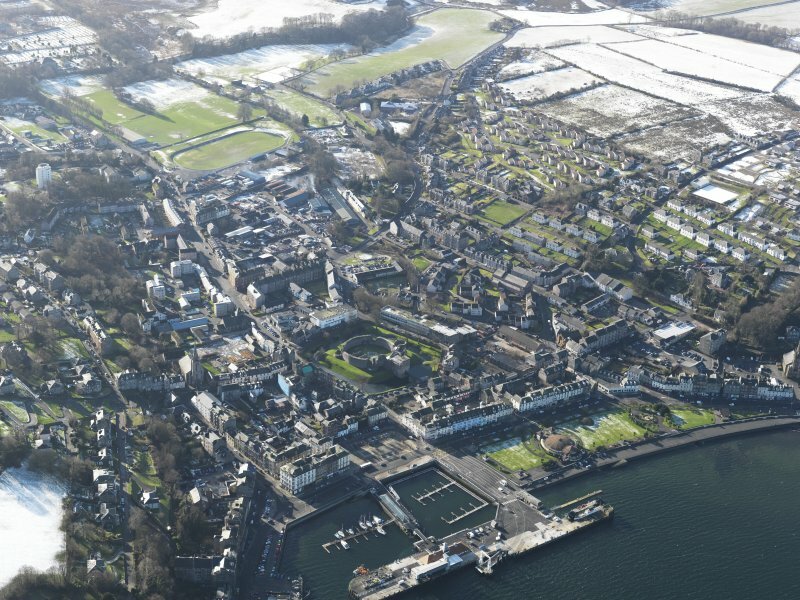 Oblique aerial view of Rothesay, taken from the SW, centred on the town. A harbour is visible in the top half of the photograph. A castle and the Winter Gardens are visible in the top centre of the photograph. 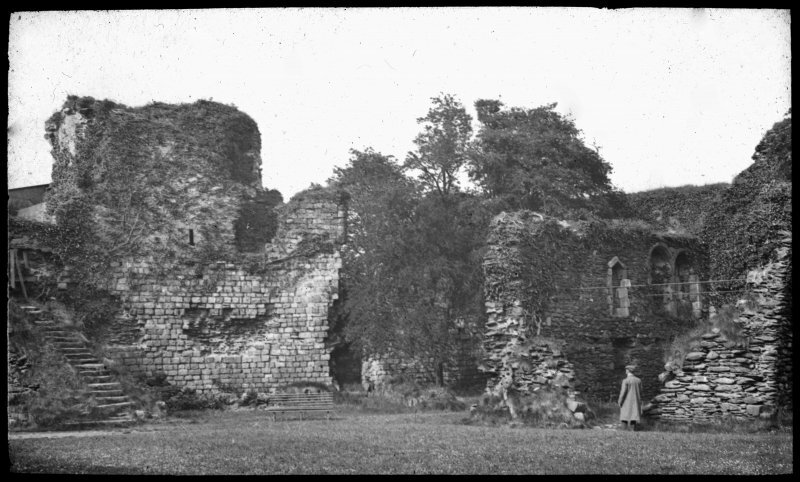 The castle was destroyed by Argyll in 1685. Full account, general plan and other plans. 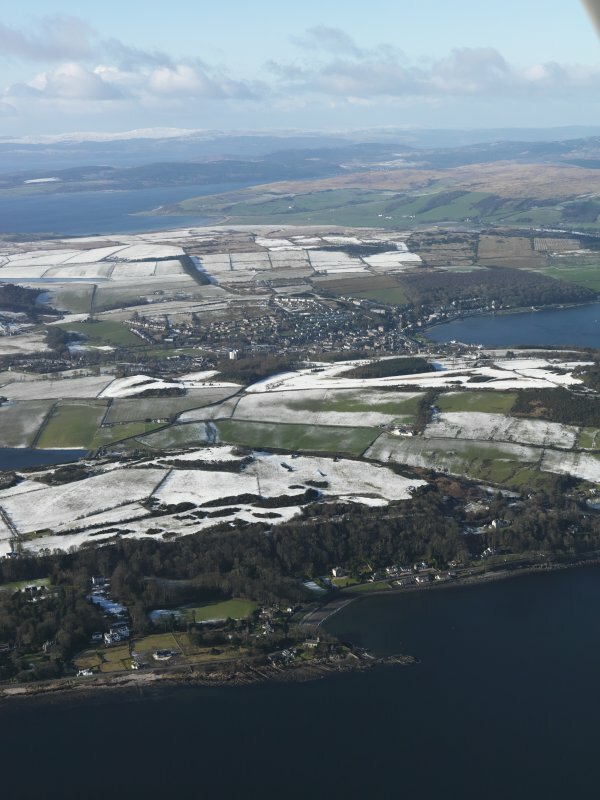 The first stone castle of Rothesay was a 12th century shell-keep, the curtain of which, still 30 feet high and 9 feet thick, was sunk into the earthen bank of a pre-existing fort, superseding an earlier timber palisade. 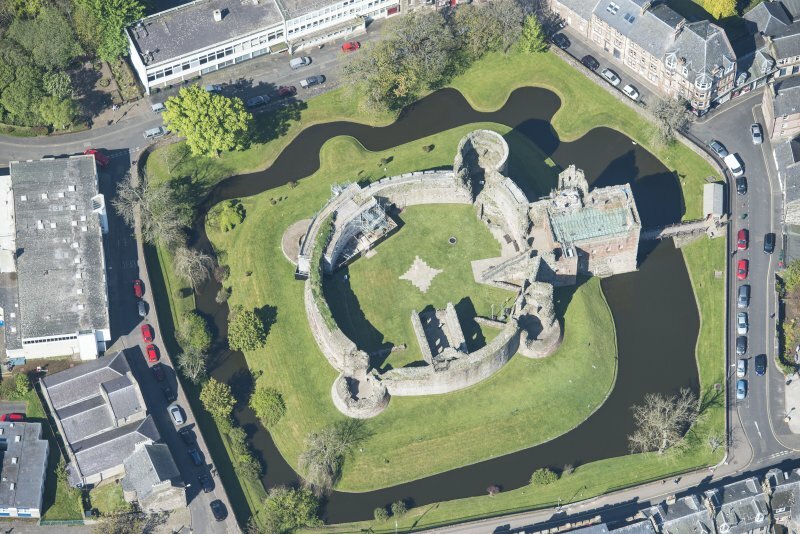 It stands on a flat topped circular mound surrounded by a water moat. The small forework at the entrance was added in the early 13th century, before about 1220. The four towers, of which two are much reduced, were added in the last quarter of the 13th century, when the wall-head was remodelled. At some time between the late 14th and mid 16th centuries the great forework was added, to complete the present castle. 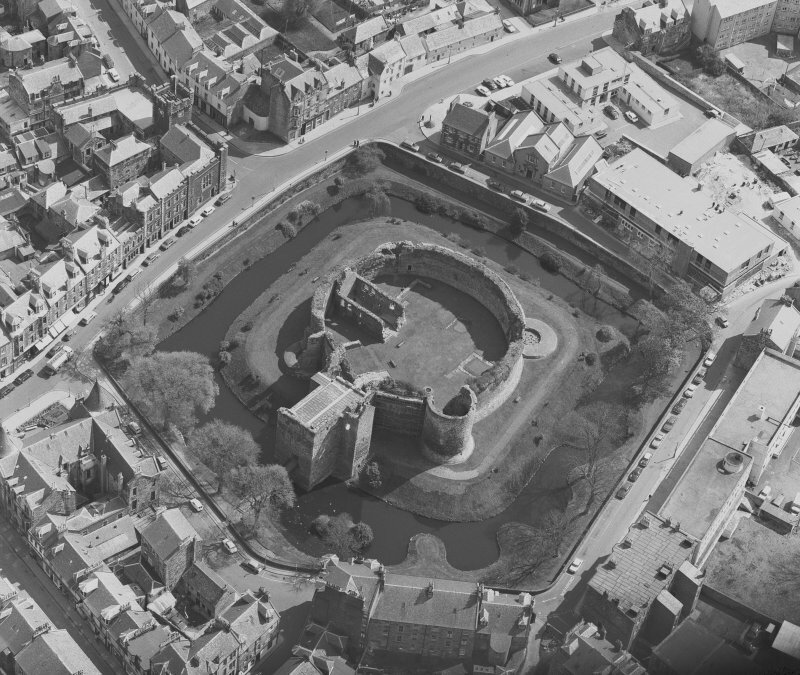 There may have been a Cromwellian reconstruction of the outer works in 1650, including the provision of gun-platforms in rounded bastions at each of the corners dominated by the mediaeval towers. Within the courtyard are the foundations of 'sundry buildings', and the roofless shell of a chapel. 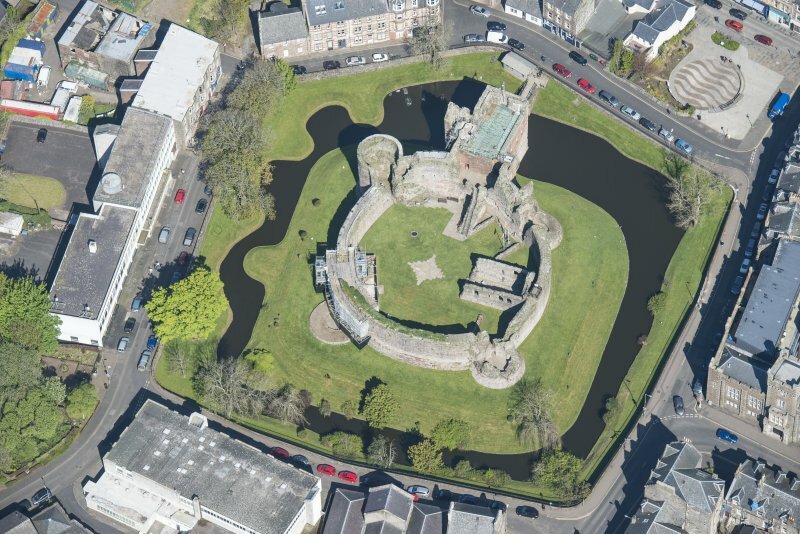 The remains of Rothesay Castle are as described above. 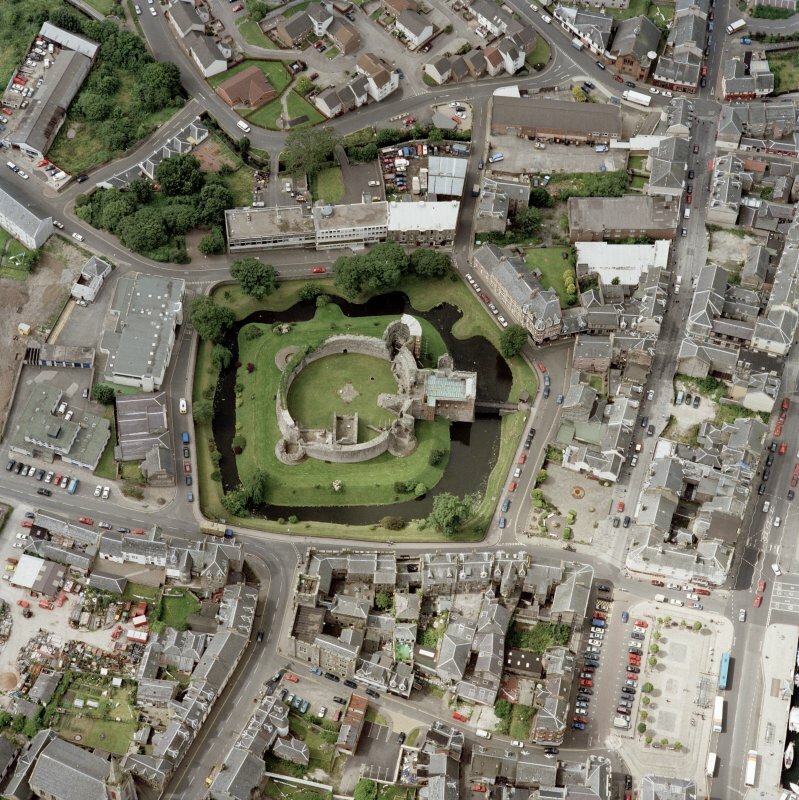 In the Bute Museum, Rothesay, there are numerous finds from the castle and its surrounding moat. 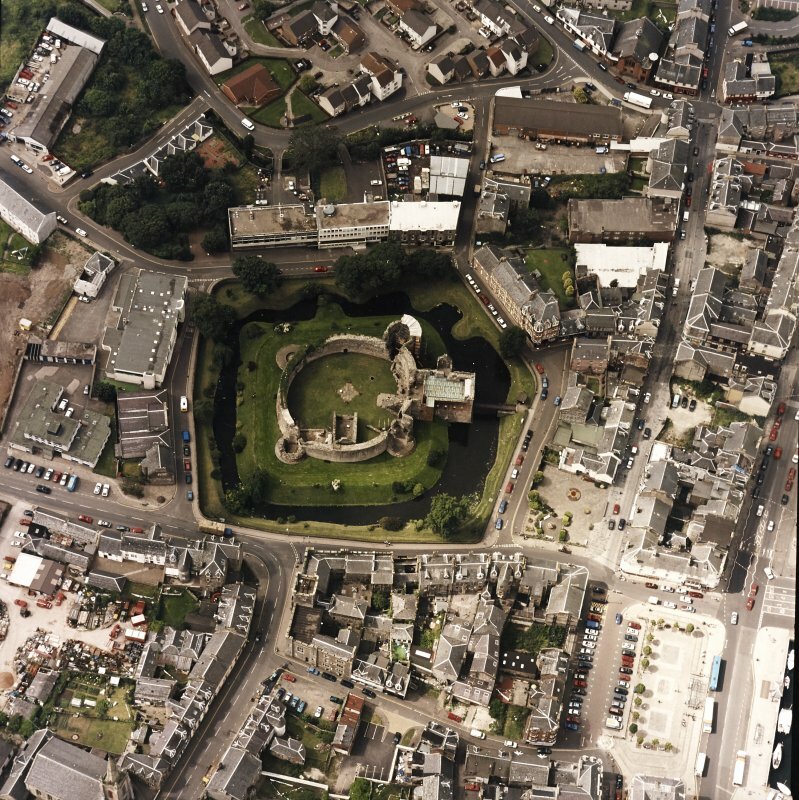 Oblique aerial photographs of Rothesay Castle, Bute, by Mr John Dewar in 1973. Early medieval ringwork, probably first phase. Information from E J Talbot mottes TS. 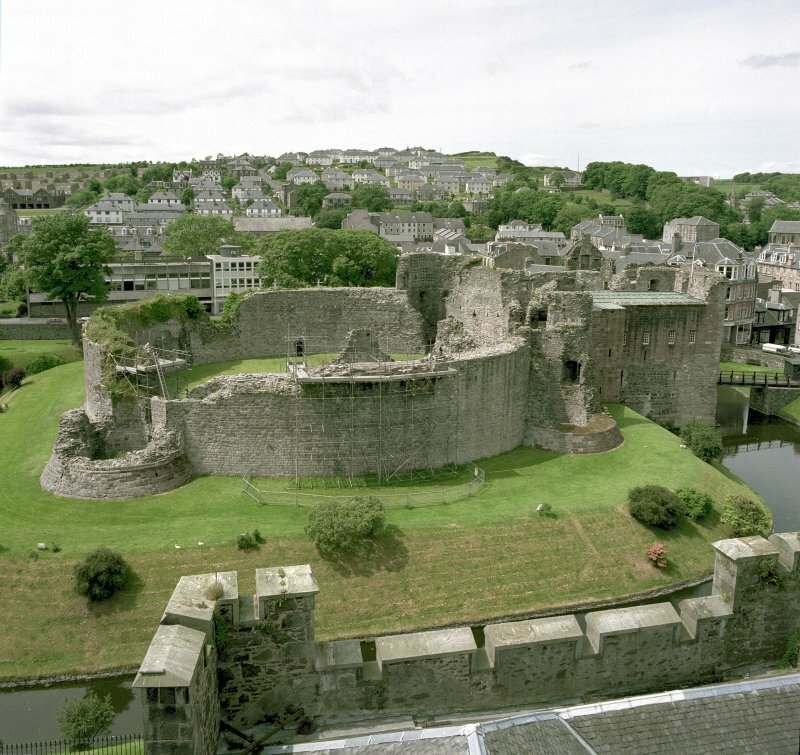 The castle of Rothesay is first mentioned in 1230 when it withstood a siege by Norsemen. The walls were reputedly so soft that they could be hewn by axes (Simpson, 1972, 1). It did not play a prominent role in the Wars of Independence, but was a favourite residence of Kings Robert II and Robert M. James IV and his son, James V both stayed in the castle as well. The main portion of the castle dating from the thirteenth century consists of a great circular curtain wall with four massive round sandstone towers. The entrance is on the north front and leads through the great donjon erected in the early sixteenth century (Simpson, 1972, 2). The courtyard is about 140 feet (42.67m) in diameter and the walls are eight feet (2.44m) thick (MacDonald, 1886, 181). The chapel, dedicated to St. Michael, though in a ruinous condition, is the only building now within the courtyard. Until the end of the last century the ground between the outside wall and the ruin was taken up with houses, shops, gardens and the like. Information from ‘Historic Rothesay: The Archaeological Implications of Development’ (1978). 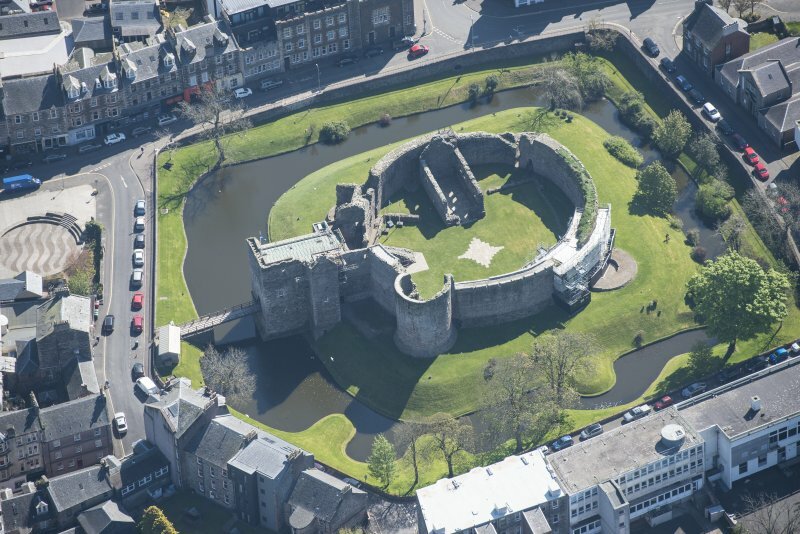 This magnificent castle, set on an area of no immediately obvious defensive potential, is one of the best preserved early castles in Scotland; Rothesay Bay is an anchorage of some importance, and proximity to the bay has clearly influenced the siting of the castle. 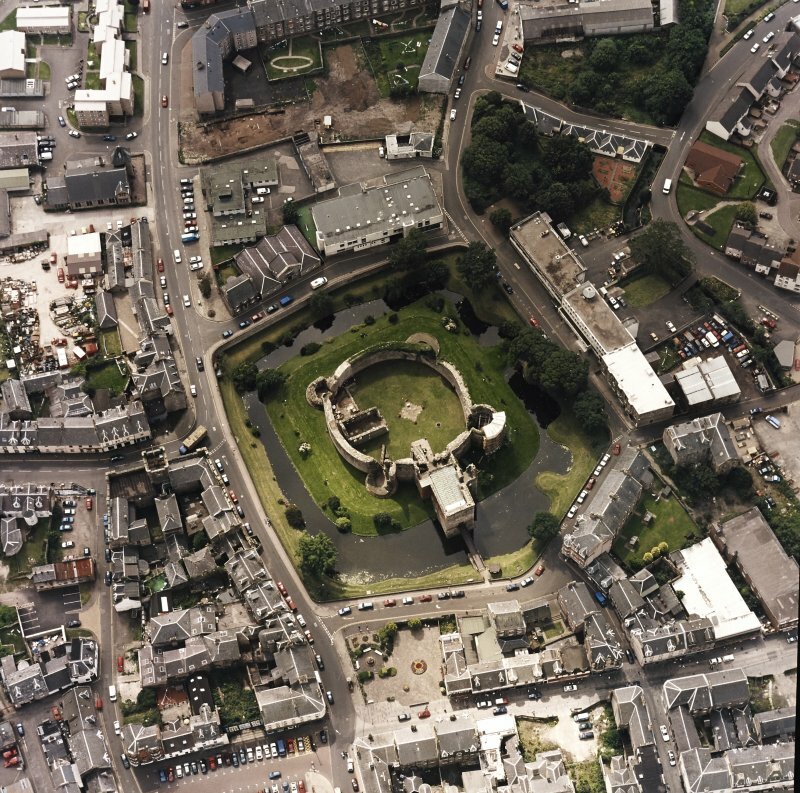 Unlike those castles whose shape was largely dictated by local topography, the builders at Rothesay were free to choose the ground plan, and the result is an almost circular castle of enclosure just over 40m in diameter with an entrance to the north and a postern on the western flank. The wall is about 2.5m thick. It is currently suggested that the date of the original castle is in the third quarter of the 12th century. 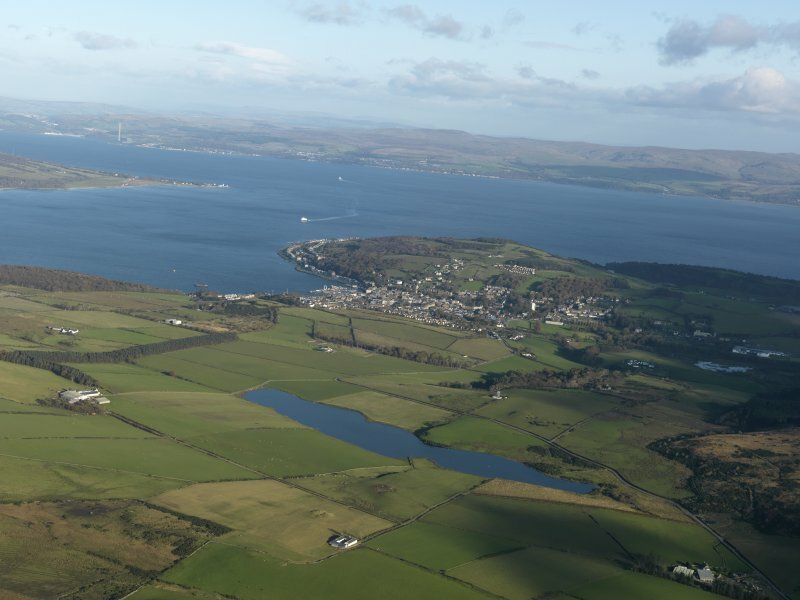 In 1230 the castle was besieged and captured by the Norsemen who had to withstand molten lead and pitch which was poured from the battlements; and it fell again to the Norsemen in 1263 during King Hakon's campaign which culminated in the Battle of Largs. The four great drum towers appear to have been added to the castle in the later 13th or early 14th century and the wall head of the enclosing wall was remodelled at this time, thus encapsulating some of the original machicolation, and if the moat were not first scarped at this stage it was certainly reshaped to a more rectilinear plan in order to accommodate the towers. It is possible, however, that the moat may belong to a period of building earlier than the castle of enclosure. The final phase of this spectacular castle is the building of an impressive gatehouse; begun in the reign of]ames IV, who in 1498 granted to Ninian Stewart the hereditary keepership of the castle, it was completed by James V after 1541. The gatehouse gives an impression of the higher standards of comfort expected in royal residences with the great hall on the first floor with a fireplace and spacious window seating; on the second floor were the private rooms and perhaps an oratory. In the interior of the castle there is a chapel, dedicated to St Michael, which is probably contemporary with this period. Restoration of the castle was undertaken between 1872 and 1879 by the 3rd Marquess of Bute, and the hereditary keepership of the castle remains vested in the Stuart family although it was formally placed in the guardianship of the State in 1951. 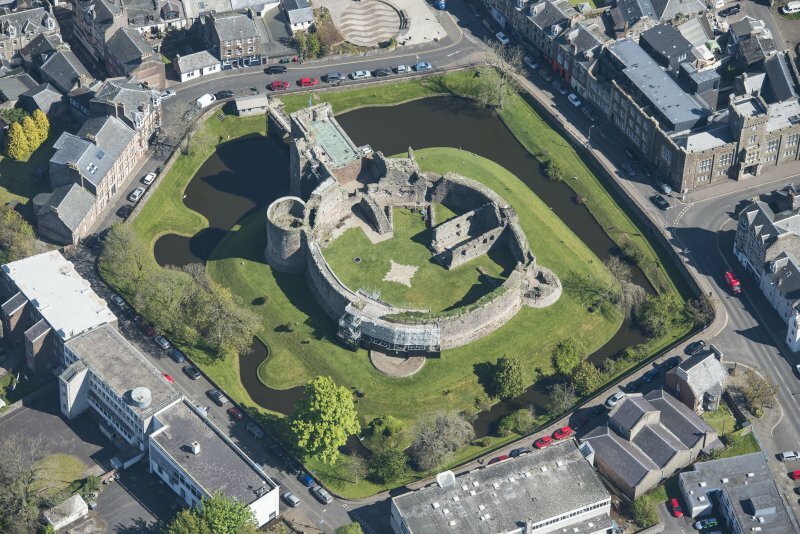 NS 0883 6454 Recording was undertaken by Kirkdale Archaeology during the removal of a capstone covering part of a well, situated on the outer bank of Rothesay Castle moat, towards the E end. [A fuller report has been deposited with the NMRS]. NS 087 645 Archaeological recording of the NW tower of Rothesay Castle (NMRS NS 06 NE 3) was undertaken in advance of the repair required after the collapse of its stone facing in June 1999. At this time, the structure was encased in load-bearing scaffolding. The circular curtain wall was built in the 13th century and retains the original crenellations beneath the 16th-century wall heightening, clearly seen between the NW tower (Pigeon Tower) and the gatehouse. Four towers were constructed against the curtain wall later in the 13th century, of which the NW tower is one. It originally had three floors, evidenced by the arrow slit windows, and housed the lord's chambers. In the 16th century another storey was added which can be seen in the two windows at that level. The tower was made into a doocot in the 17th century and the windows were blocked, the upper windows were furnished with pigeon holes and landing platforms. After abandonment, the tower fell into disrepair until the 19th century when the Marquis of Bute began the renovation (part of the NE tower collapsed in 1937 and was partially rebuilt), which continued until the castle was handed over to State care in 1961. Since that time the tower has been under constant threat of collapse with regular minor repair work carried out since the 1960s. Historic Scotland - delisted 20.3.2000. NS 087 645 Three phases of work were undertaken during 2002. Firstly, a watching brief was carried out during the excavation of a new trench for the outfall of the rainwater pipe from the new shop site down to the moat. The opportunity to investigate an 'open joint' on the E side of the NW Tower, where the tower meets the curtain, was also taken. The dark earth deposits are part of the low mound upon which the shop sits. There was no indication as to when these soils were laid down so they may be of some antiquity. They seem to be part of a deliberate landscaping or earthwork programme, which may in turn relate to landfall bridgeworks on the N side of the castle ditch, before the activities of the late 19th century. The void on the E side of the NW Tower extends downwards from the line of 19th-century rebuild, to a point some 1.2m above the base of the NW Tower. It is generally an irregular feature resembling a crack or fissure in the general face of the tower lower masonry. The void appears to be a result of structural failure or settlement, clearly in place before the works of the Marquis of Bute (1871-9). Second, a drawing was to be made of a portion of the exterior elevation of the NW or 'Pigeon' Tower. Lastly, structural evaluation and recording were undertaken in two separate areas of the wall head. This was to precede a programme of wall head consolidation and masonry replacement. The two areas of wall head consisted of a stretch of the W wall head between the NW and SW round mural towers (Area 1) and two sides of the wall head around the top of the Gatehouse (Area 2). G Ewart, J Franklin and D Stewart 2002. NS 087 645 As part of the ongoing consolidation and repair on the outer defensive wall of Rothesay Castle (DES 2002, 23-4) a further section of the NW wall head was cleared and recorded in September 2003, showing evidence of a parapet walkway. NS 087 645 Minor excavations were undertaken at Rothesay Castle (NS06SE 3.00) in June 2005 in order to locate medieval drains as part of a programme of works designed to resolve waterlogging within the courtyard area. The results suggested that the drain system described by Burges in 1872 is still in place and mostly intact. NS 0878 6460 An archaeological excavation was undertaken to establish the heights of two vault crowns and several wall heads prior to the laying of a new floor and associated drainage in the room immediately to the S of the Great Hall of the Gatehouse of Rothesay Castle. These excavations revealed several phases of building activity, reduction and repair. A further vault crown was left unexcavated as it lay below the recommended 200 mm depth of excavation below the existing floor level. Additionally, a section of wall head between the NW Tower and the Gatehouse was drawn, numbered and recorded photographically prior to reinstatement and re-pointing works. NS 087 645 A watching brief was undertaken between 24 August–13 October 2009 during works on the water main network in Rothesay. 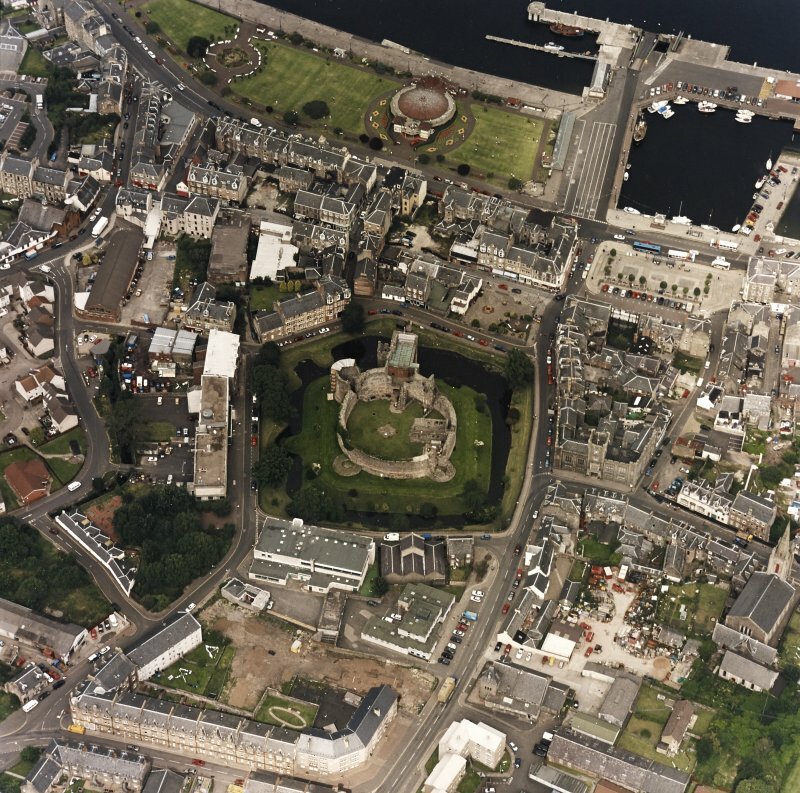 The work covered 22 small trenches in Stuart Street, High Street, Castlehill Street, King Street, Montague Street and Russell Street, all near to Rothesay Castle, which dates to the 12th century. No significant archaeological features or deposits were uncovered. 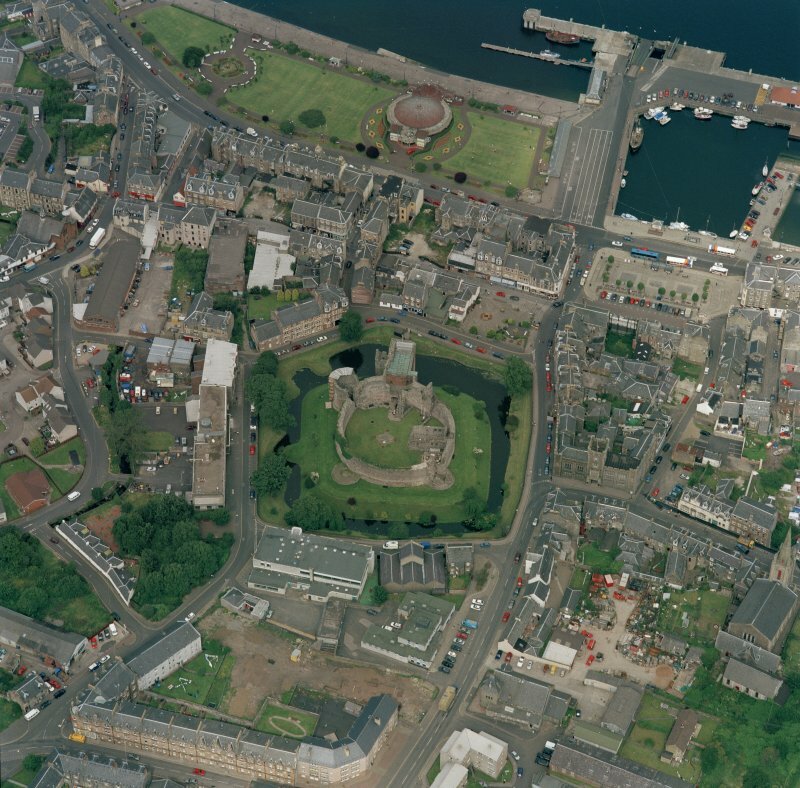 This site falls within the Rothesay Town Centre Area of Townscape Character which was defined as part of the Rothesay Urban Survey Project, 2010. The text below relates to the whole area. 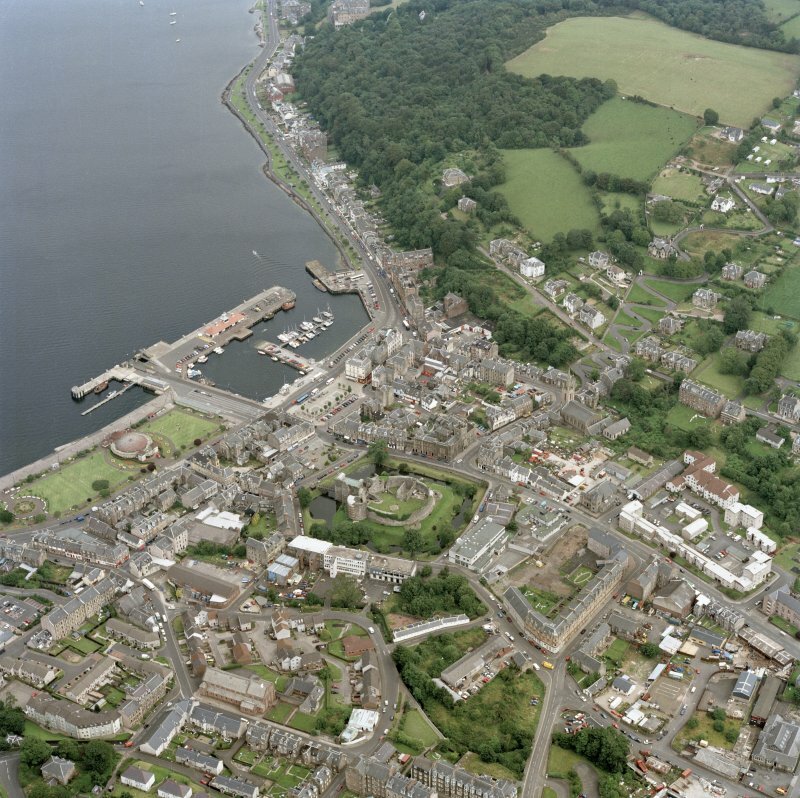 The Town Centre Area of Townscape Character comprises the main historical core of Rothesay, which grew up around the 13th-century castle, unique to Scotland in its circular form. 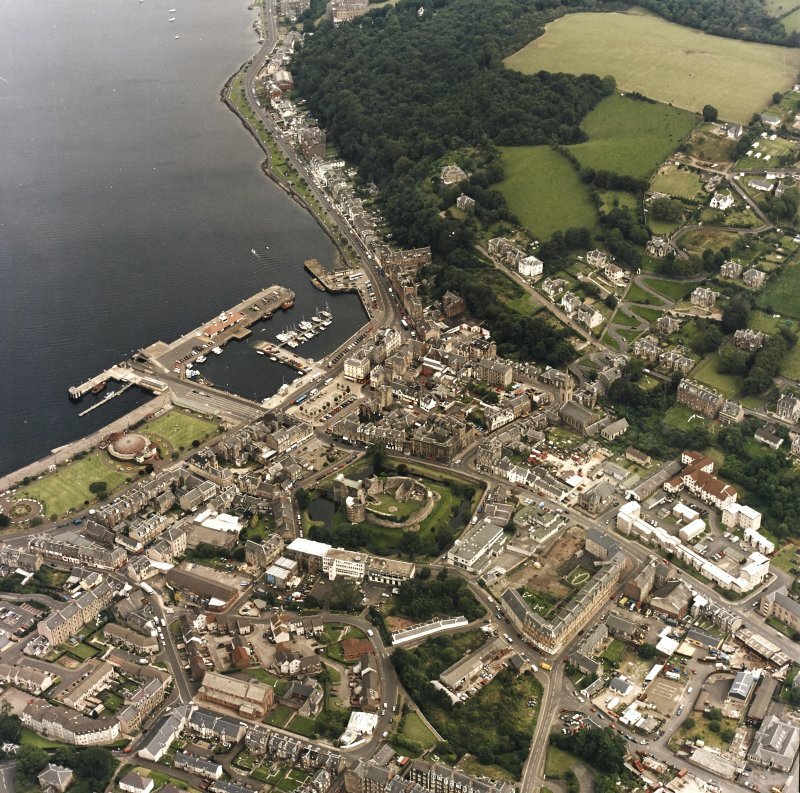 From these early beginnings, Rothesay became a Royal Burgh in either 1400 or 1401 – the exact year is not entirely clear from documentary evidence. The castle was much altered during the following centuries, and the town itself expanded along the High Street towards 16th century St Mary’s Chapel to the south and the shore/Harbour in the north, in a traditional linear burgh form. In the late 17th century (c.1680), the Marquess of Bute established a residence in the town, looking onto the Castle from the High Street. It was the second Marquis of Bute who, in 1816-18, carried out the first of many restorations to the castle. The town gradually spread out from the High Street during the 17th and 18th centuries. 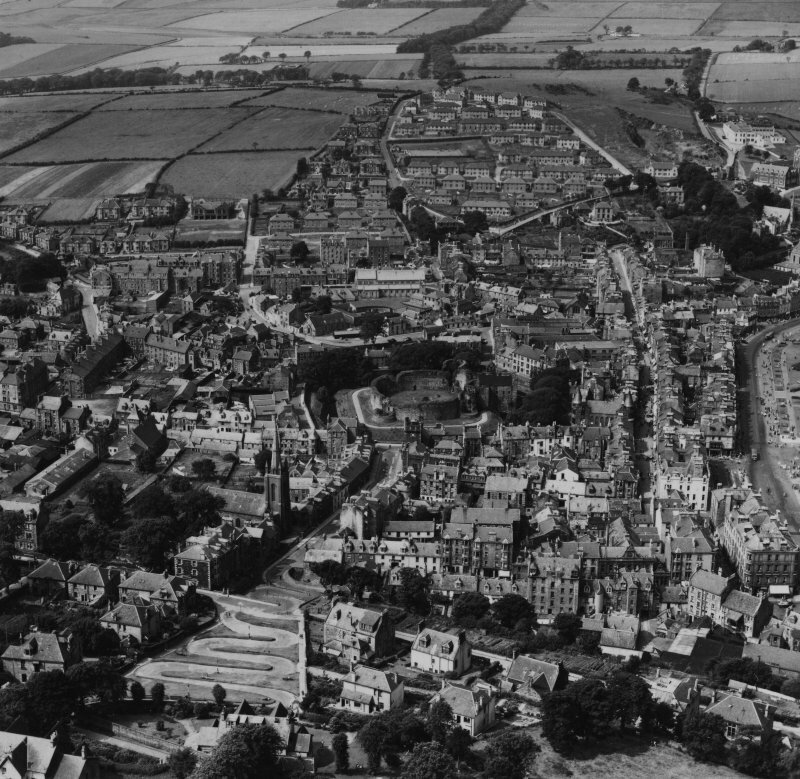 By the mid-18th century, the town stretched as far east as Bishop Street, as far south as Minister’s Brae and as far west as Mill Lade. Two phases of land reclamation changed the focus and whole axis of Rothesay from north-south along the High Street to east-west along Montague Street in the mid- to late 18th century, and subsequently Victoria Street in 1839-40, which was built on the site of a former boatyard. The majority of the town centre was redeveloped as a result of these reclamation schemes, with key public buildings locating here in the 19th century, such as the court house on Castle Street built to designs by James Dempster in 1832 with later 19th century alterations, and the Baroque-style post office on Bishop Street, dated 1896. 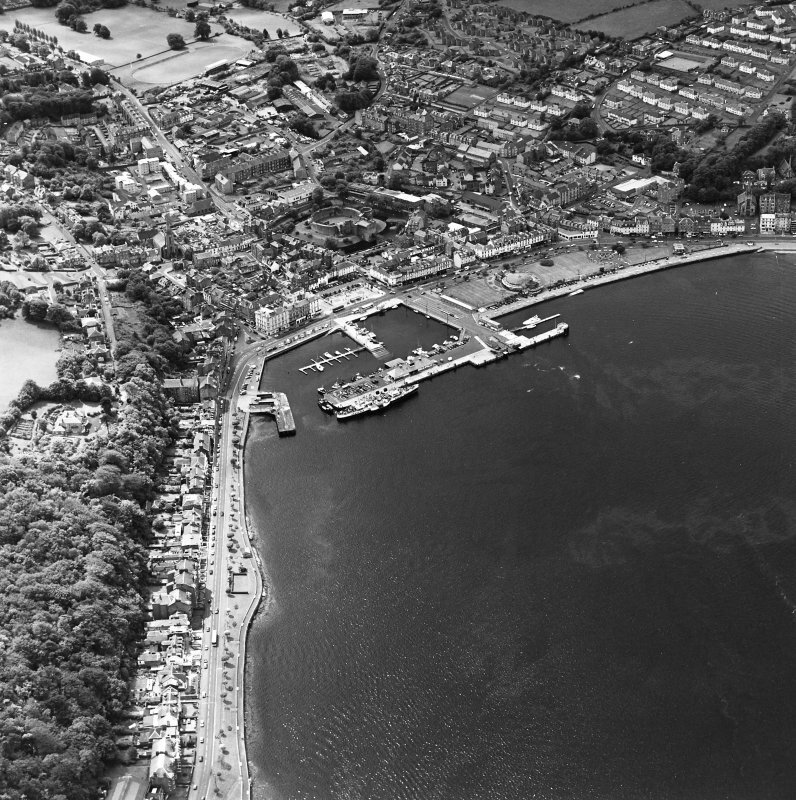 The harbour and pier grew in significance as a result of this shift, and its growth, along with the great rise in Rothesay’s popularity as a seaside tourist resort during the 19th century, saw the shoreline become the focus for the town’s growth rather than further inland. On the whole, the town centre developed in a fairly ad hoc manner, as would be expected in a historic town centre. However, the area is largely a mid- to late 19th century Victorian creation, particularly with the reclamation of land along the shore, creating the Esplanade, with the later addition of the Winter Gardens, by Walter MacFarlane & Co’s Saracen Foundry in collaboration with the Burgh Surveyor, Alexander Stephen in 1923-4. Numerous hotels were established here in the mid-19th century: Victoria, which has its original lamp standards and decorative floor tiling at the entrance; Esplanade, with double-height box bay window to Victoria Street and single-height to Guildford Square; Royal, has marbled columns flanking its entrance on Albert Place; Bute House, retains a timber Victorian shop front at ground floor with arched windows and entrance on curved corner; and Guildford Court, which has a modern flat-roofed canopy resting on original decorative cast-iron brackets over its entrance on Guildford Square. Several tenements were built along Victoria Street, Albert Street, East and West Princes Street. As a result of the numerous multiple occupancy buildings, the Town Centre Area of Townscape Character is a high density area, with mostly small plot sizes throughout. Historically, as with most town centres, the area has been continuously redeveloped and infilled as the needs of the population grew and changed. 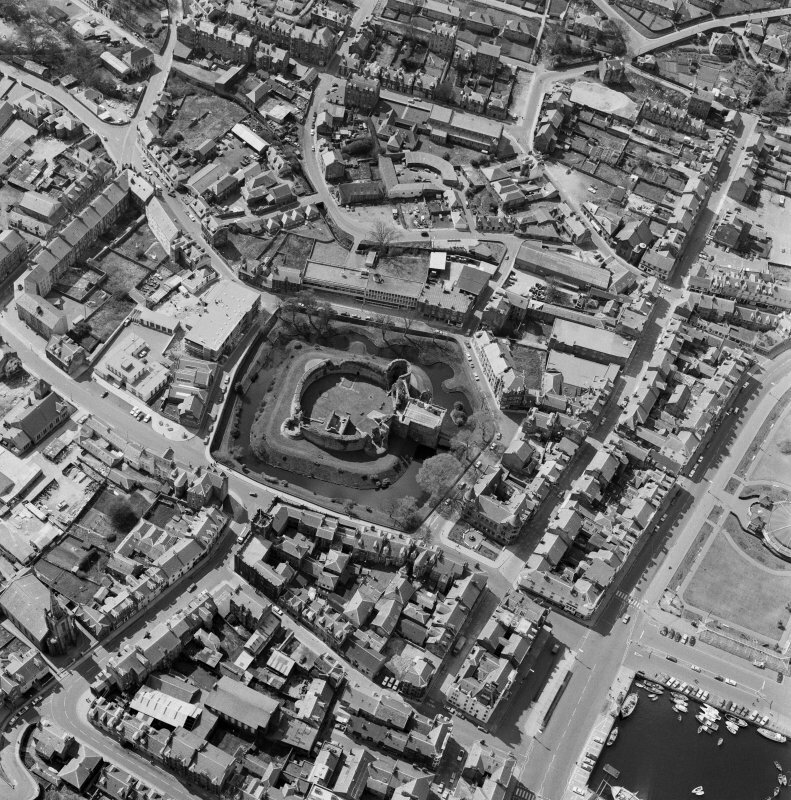 The area around the Castle has probably seen the greatest deal of redevelopment in the 20th century, with the west and south sides surrounding it being wholly redeveloped with the building of Bute Museum in 1925-6 to designs by local architect Andrew Morell McKinlay, telephone exchange built in 1966 by John R Hunter (Building Contractors) Ltd, leisure centre and library designed by Robert B Rankin & Associates in the 1970s and job centre and Inland Revenue office also built in the 1970s. Guildford Square was created as a public open space following the demolition of two banks and a hotel in the 1990s. 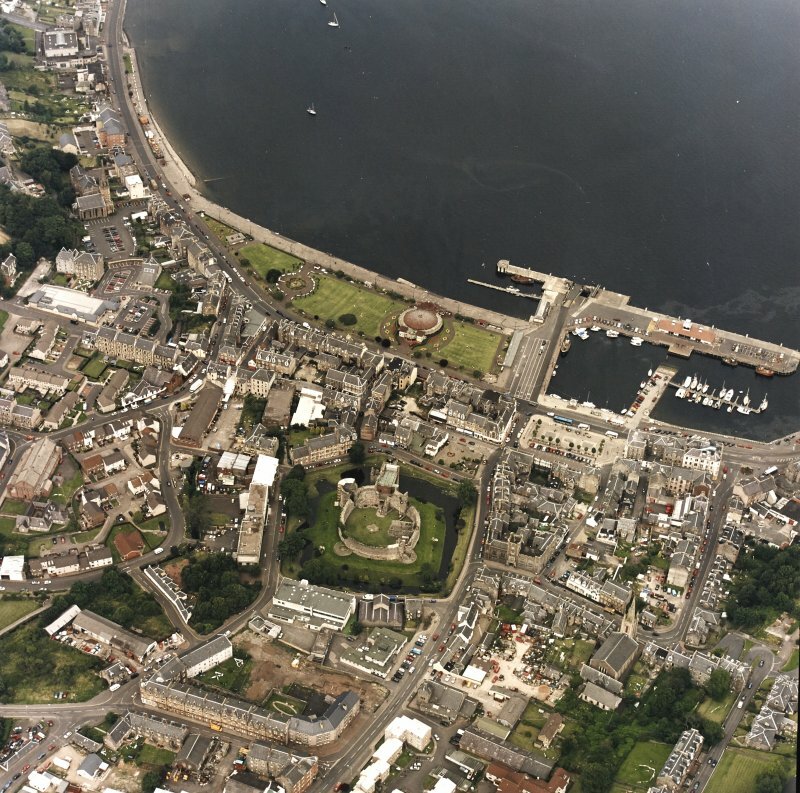 There are examples of each stage of Rothesay’s growth and development throughout the Town Centre Area of Townscape Character. 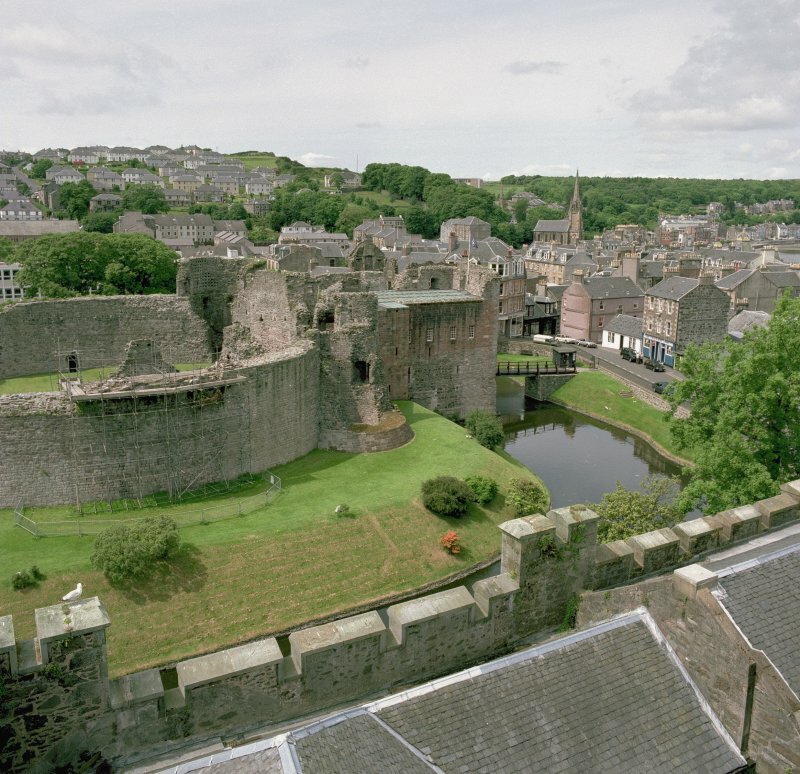 Rothesay’s earliest beginnings are represented by the 13th century Castle. The 17th century Bute townhouse, with its crowstepped gables and projecting stair tower, is a fine survival of typical Scottish burgh architecture dating from this period. Much of the street layout in the area has survived unaltered despite later developments. There are undoubtedly some remnants of 18th century buildings in the Watergate and Store Lane area, probably previously associated with former harbour activities. Some early 19th century single-storey-plus-attic cottages survive, much-altered, at Nos 19-27 Bishop Street, but the majority of the area dates from the huge Victorian expansion to provide tenement and hotel accommodation for the influx of tourists from the mid-19th century. Many of the tenements built in Rothesay during the tourism boom display features similar in style to those tenements of the town’s middle-class Glaswegian visitors. The use of the same red sandstone, often with carved stonework including shaped pediments above entrance doors to shared tiled stairwells or ‘wally closes’ with decorative cast-iron balustrades and often stained glass windows to internal doors. One of the key features of the Town Centre Area of Townscape Character is the extensive use of splayed corners to those 19th century buildings on street corners nearest to, or having views towards, the shore. This not only opens up and provides views to the sea for as many areas of the buildings as possible, but also maximises light into the buildings in what is a fairly densely packed urban fabric. The extensive use of bay windows, particularly along shoreline tenements on East Princes Street and Argyle Street, serves the same purpose, as elsewhere in Rothesay. While most of the buildings, especially the tenements, are of a typically Scottish form, there are some more unusual or distinctive building styles dotted across the area. One example is James Hamilton & Son’s French Baroque-style Duncan’s Halls, built in 1876-9 at Nos 19-25 East Princes Street to provide a range of public halls and rooms for entertainment, and housing the town’s Palace Cinema from 1913 to 1963 when it became a bingo hall. James Dempster’s 1832 court house building on Castle Street is distinctive with its heavily battlemented parapet and chunky stonework, in contrast to the finer stonework of the surrounding tenements. Throughout the Town Centre Area of Townscape Character Victorian cast-iron lamp posts, painted blue, with the town coat of arms still remain, though some may have been reinstated. These lamp posts can be found along the main seafront of the town, into the East Bay Area of Townscape Character and Serpentine and West Bay Area of Townscape Character. Rothesay town centre contains a wide range of shop front styles, with many still surviving from its Victorian heyday. These consist of timber-framed shop windows and fascias above, often with moulded/carved columns and pilasters between window panes. In general these shop fronts also retain their original mosaic tiled lobbies within their recessed entrances. Rothesay also retains a fine example of corporate shop front design with the former Woolworths building at Nos 85-99 Montague Street, designed by B C Donaldson of London. Built in 1938, the store was designed to a pattern to ensure shoppers recognised the store as a modern Woolworth’s shopping experience at first sight. The shop front retains its traditional wooden-framed swing doors to its entrance, and demonstrates typical features of 1930s architecture, with a stepped roofline to the front elevation, and slightly projecting vertical stonework between windows at upper floors giving height to the building. Built in 1979, No 41-45 Montague Street (currently Lloyds TSB) is an unusual design by Roxby, Park & Baird consisting of a series of elements from Scottish architecture such as crowsteps, corbelling and a harled and whitewashed finish. More modern features can be found in some distinctive 1960s/1970s tiling to a number of shop fronts in Montague Street and High Street. The manufacturer of these tiles has not yet been indentified, but they may be of local origin or bulk purchased by shopfitters working in the town. NS 08781 64585 (NS06SE 3.00) This collection was assessed October – December 2011. A number of non-architectural stones are included in the collection, such a canonballs and mortars or querns. Among the architectural stones, one very elaborate stone stands out. It forms a canopy, and possibly originally came from a free standing location, probably associated with an image. Four miniature gables are worked along the lower edge, and the upper section is slightly tilted. A low-relief form on the outer face may be part of a scroll, or hunting horn. The underside of the canopy is angled and roughly finished. There is also a pair of elaborate vault bosses in the collection, and each of these covered the junction of eight ribs, and therefore came from an elaborate vault, maybe over the great hall on the first floor of the castle. The attached vault ribs are highly eroded, but their profiles alternate between larger and smaller ribs, with the smaller ribs simply moulded with chamfers, and the larger ones with a broad axial fillet flanked on each side by a chamfer, hollow, and a short chamfer leading to the vertical side of the rib. The ends of two ribs are keyed to provide a secure junction with adjacent lengths of vault rib. The outer face of the boss is badly damaged, but would originally have had decorative carving. NS 0878 6458 A watching brief was carried out on 27 June 2013 during the excavation of two trenches for new signs. The first sign was placed in the castle courtyard, the second replaced an existing sign on the top of the moat embankment E of the Ticket Office. Two small test trenches were also opened in the courtyard to test the depth of topsoil. The areas exposed revealed that there are intact archaeological horizons in the courtyard 280mm below the current ground surface. Although the levelling material above the in situ archaeological deposits seems to have been introduced in modern times, the imported material appeared to contain material of much older date. Architect: William Burges. 1872 technical report on condition and proposals for preservation work. Copy of report 'Rothesay Castle; its past and present condition with architectural drawings' by William Burges (c.1872) is held at the National Library of Scotland and can be consulted in the General Reading Room, National Library of Scotland, George IV Bridge, Edinburgh. 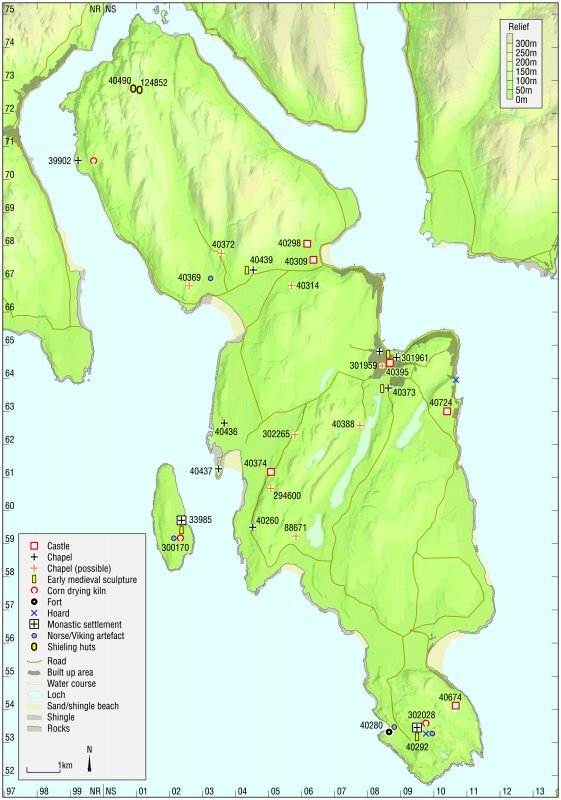 Information from RCAHMS (MMD), 19 August 2002.